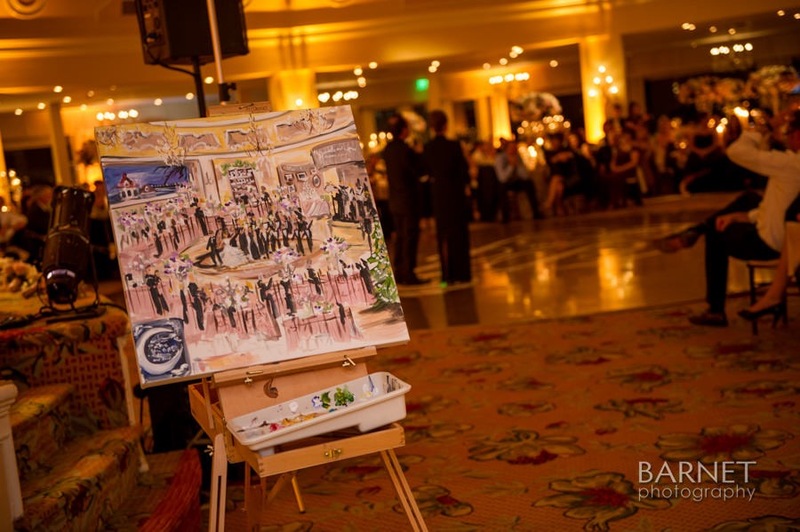 What do you get when you pair a live painter…a champagne tower…a vintage sleigh and an indoor snow fall…? 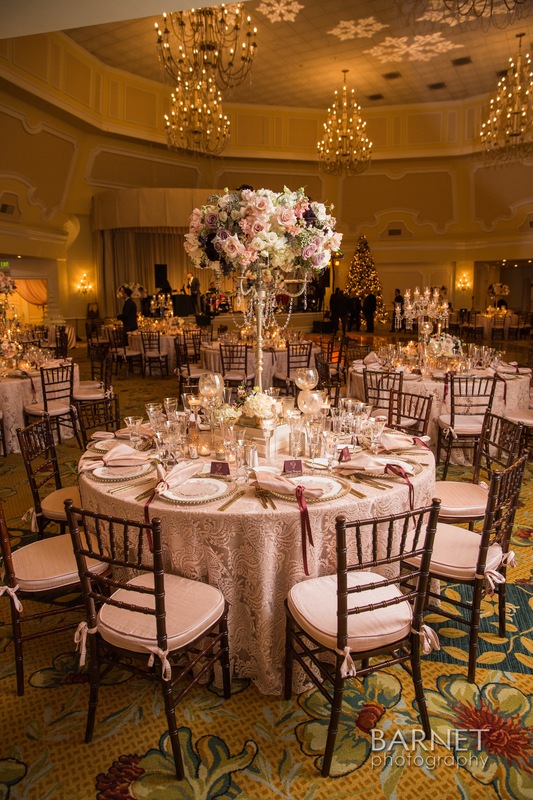 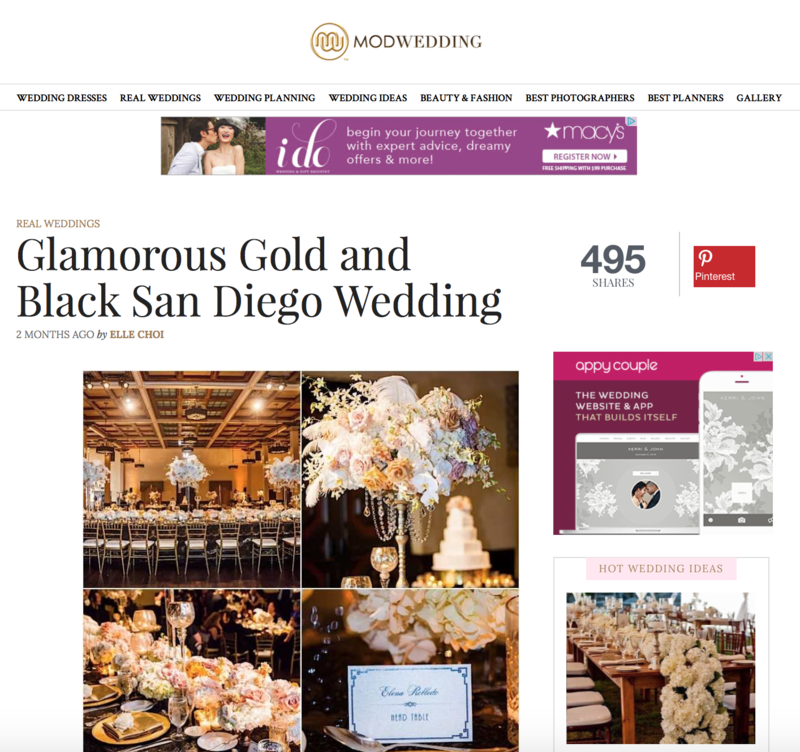 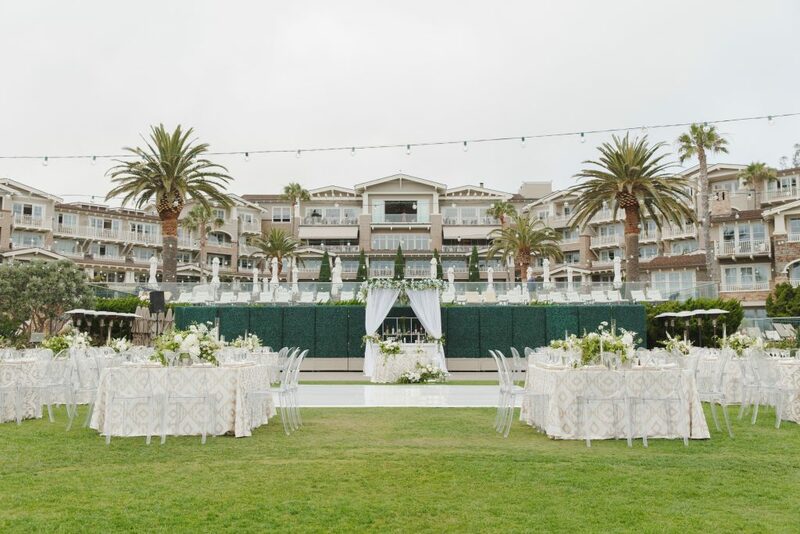 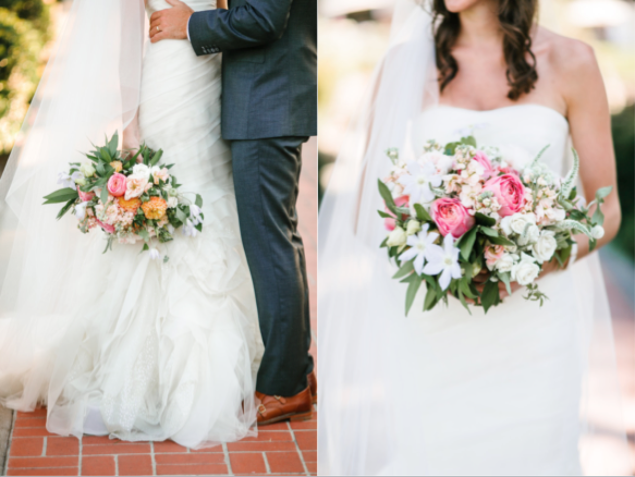 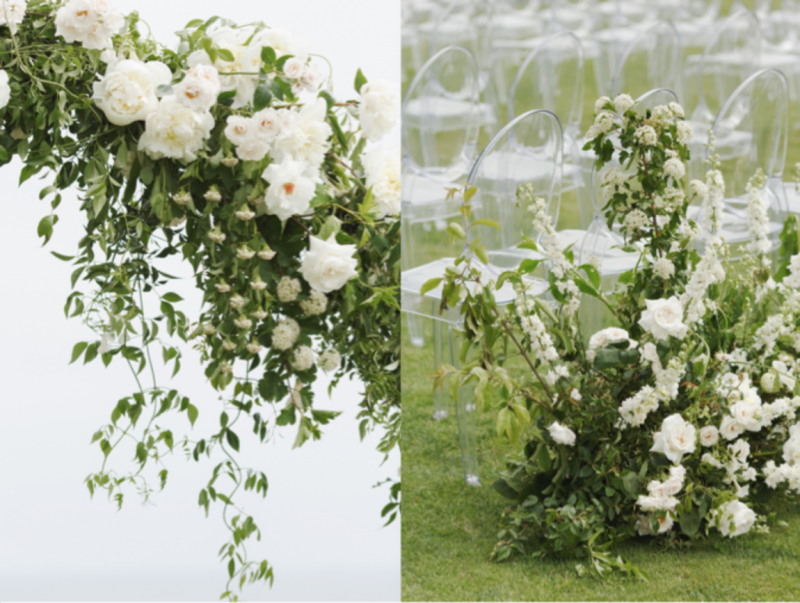 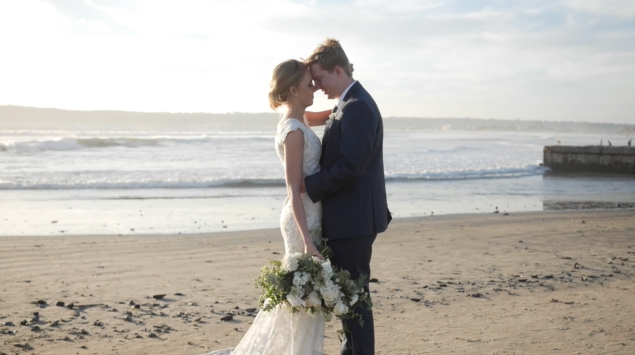 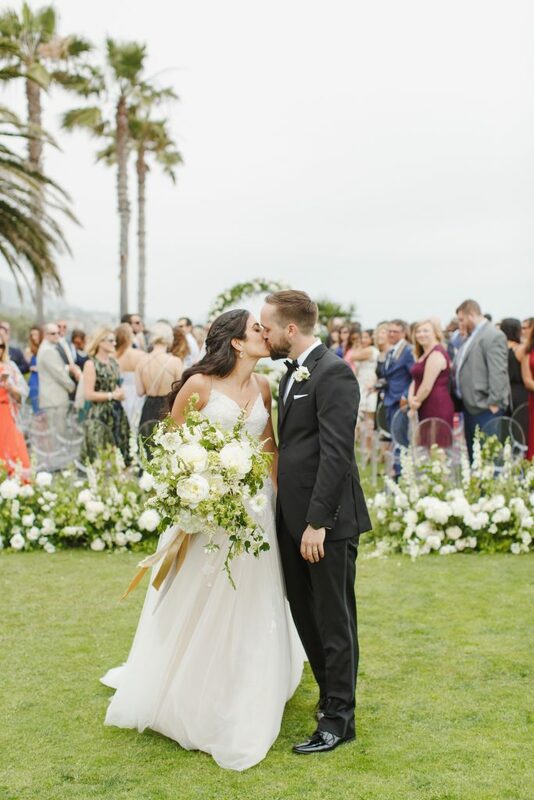 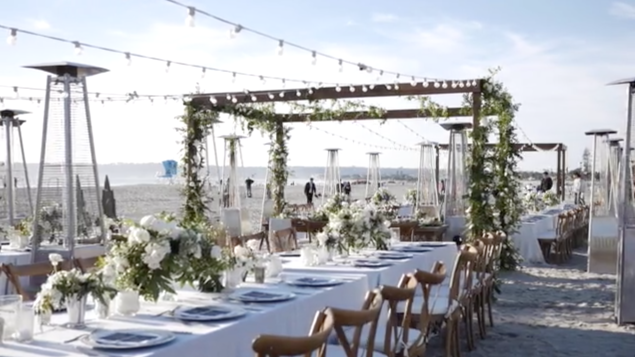 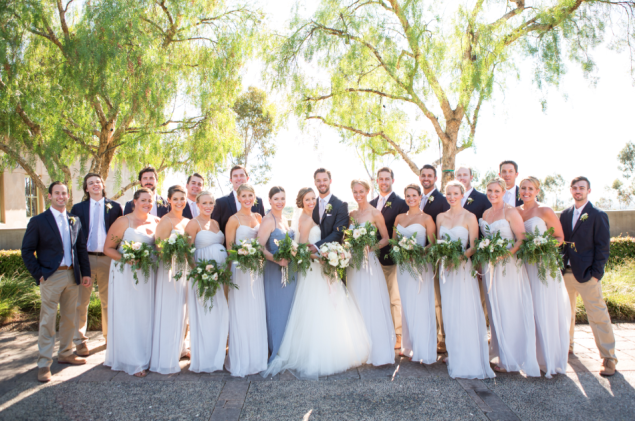 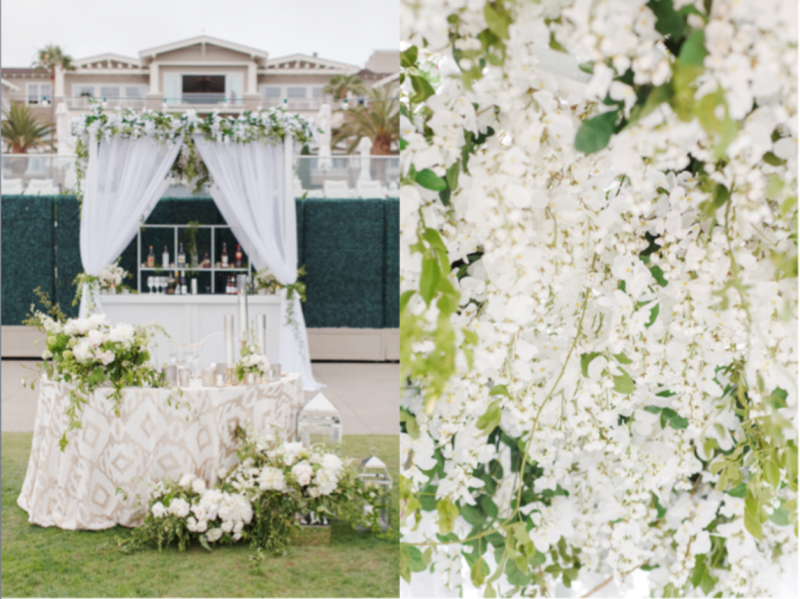 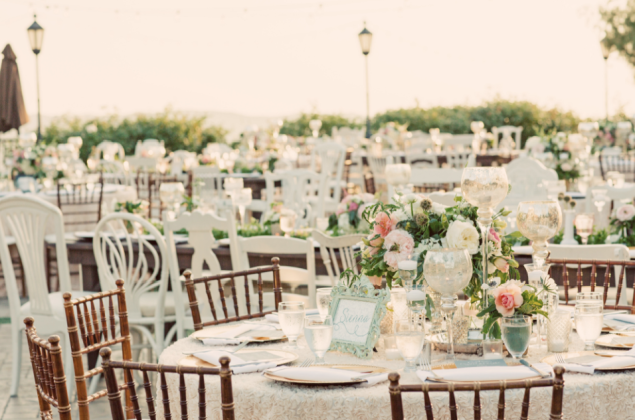 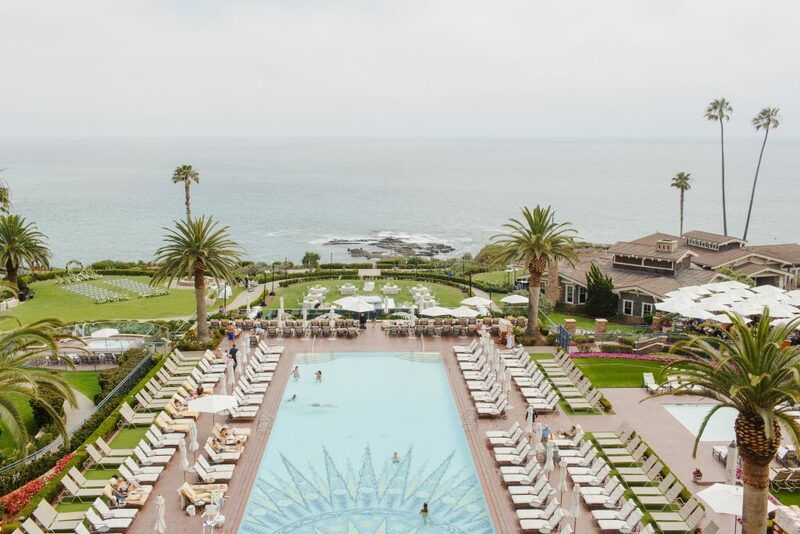 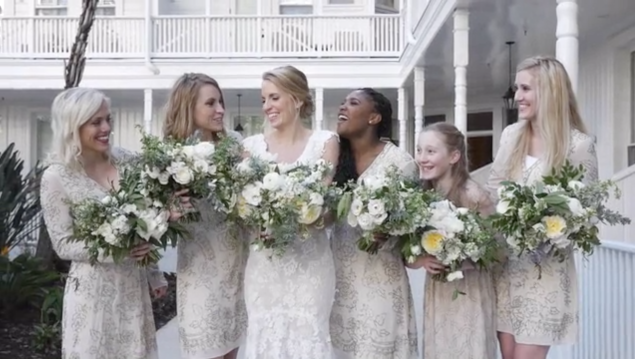 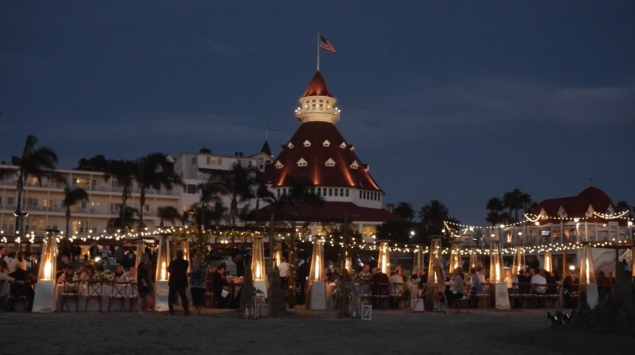 One of the most fabulously glamorous Hotel Del Coronado weddings of the year! 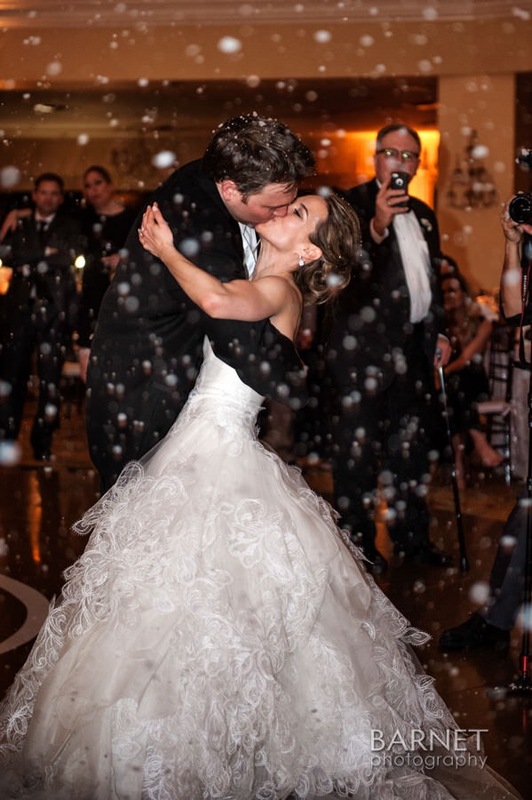 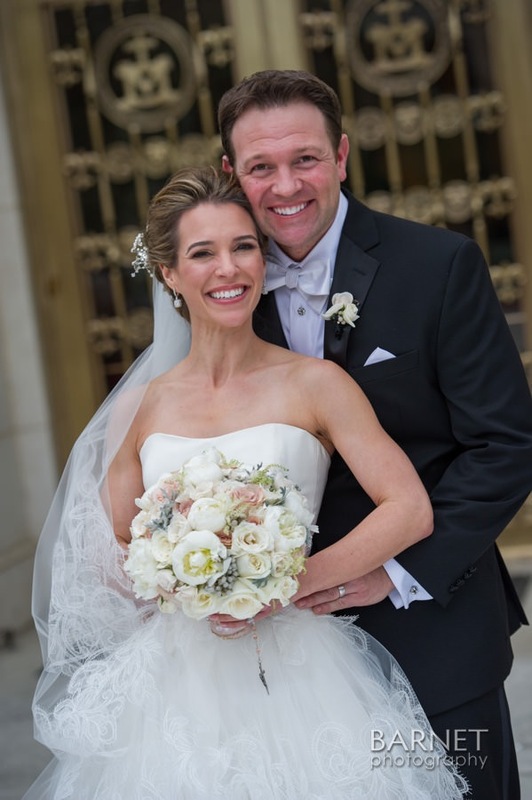 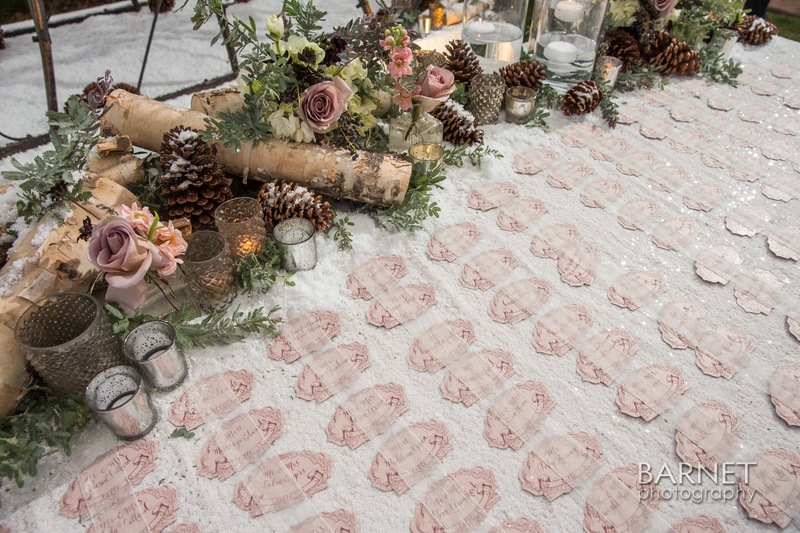 This winter-wonderland wedding literally had it all! 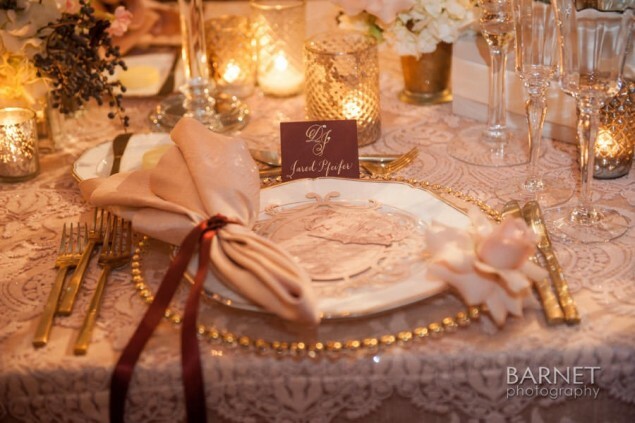 Blush dupioni silk paired with a rich lace and merlot accenting was the perfect backdrop to the dramatic palette and detailed floral textures. 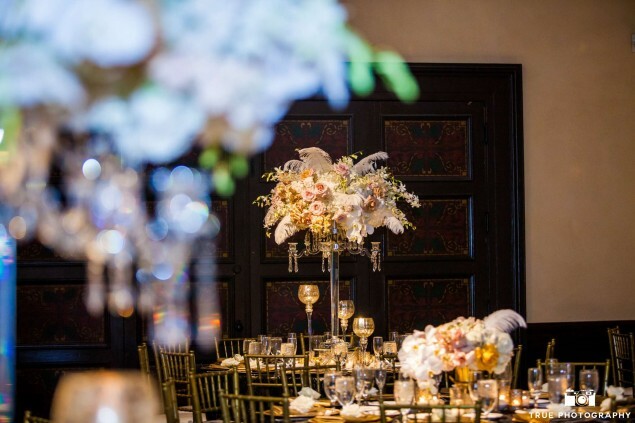 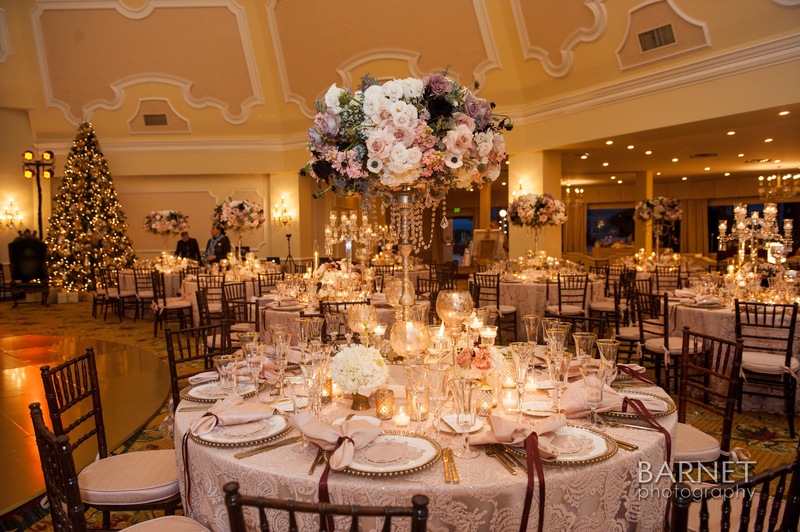 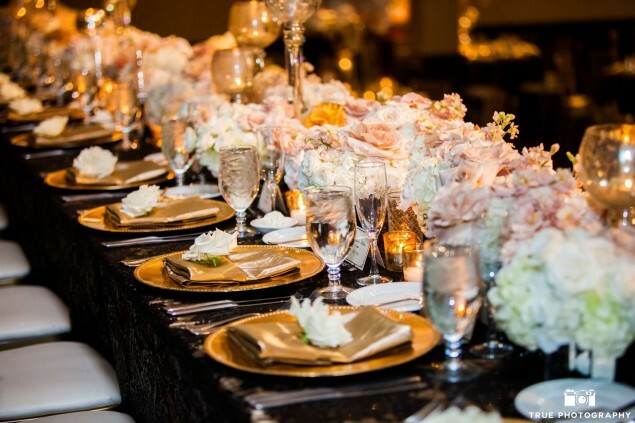 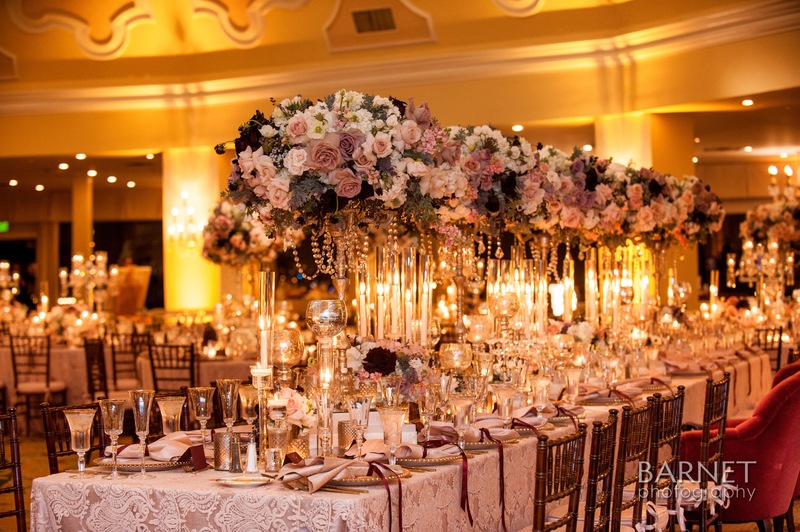 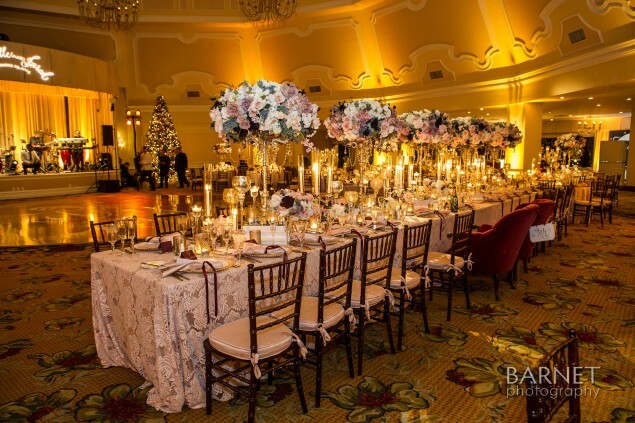 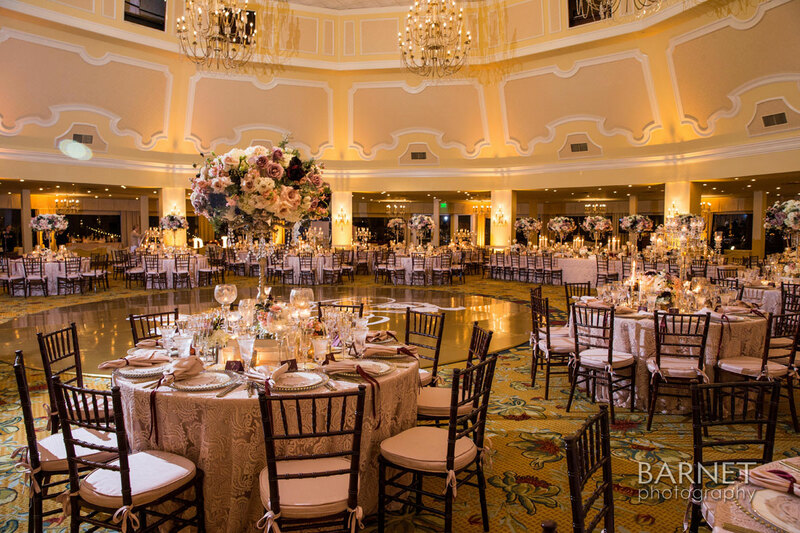 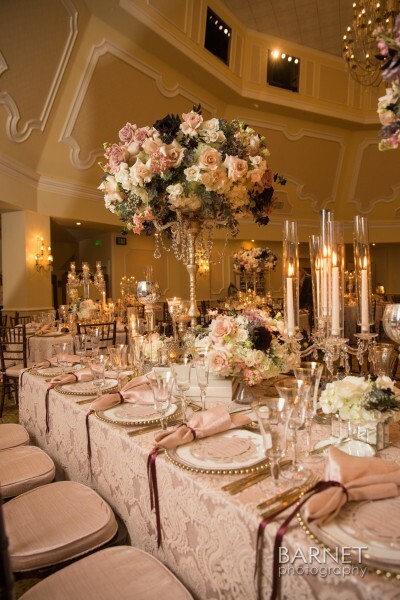 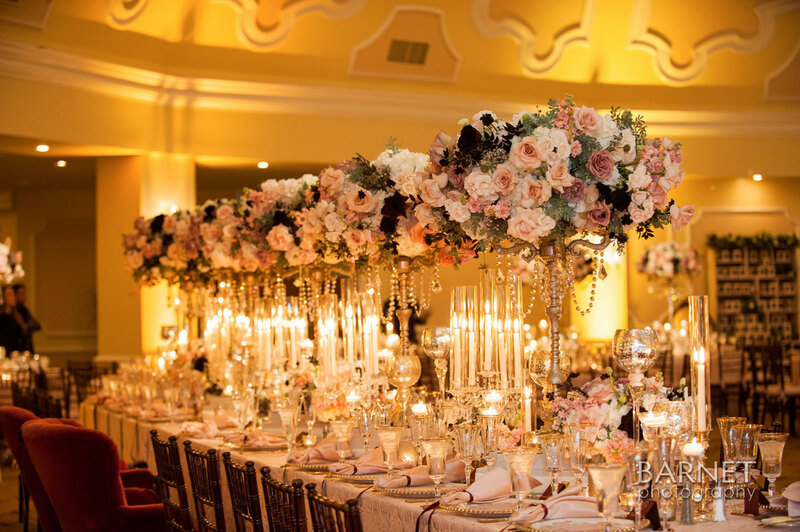 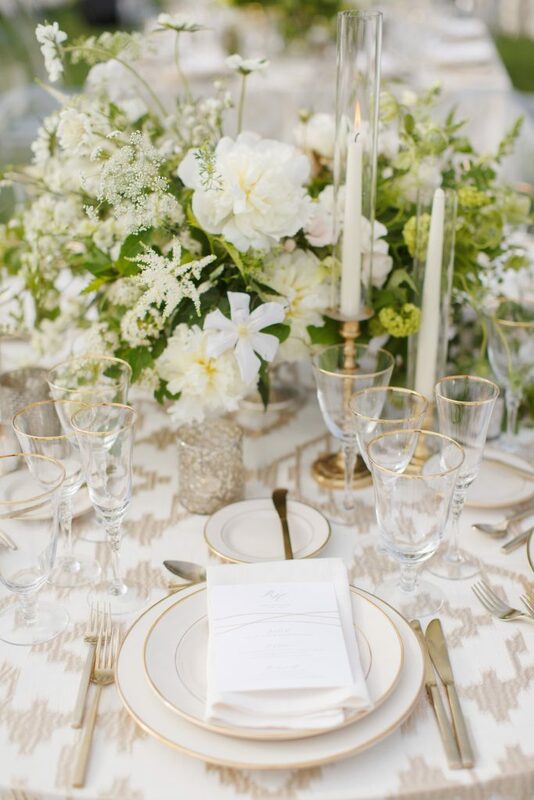 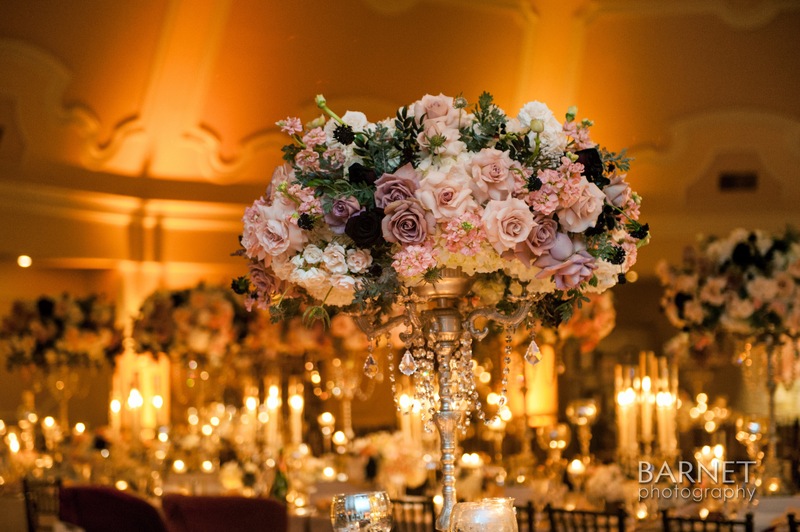 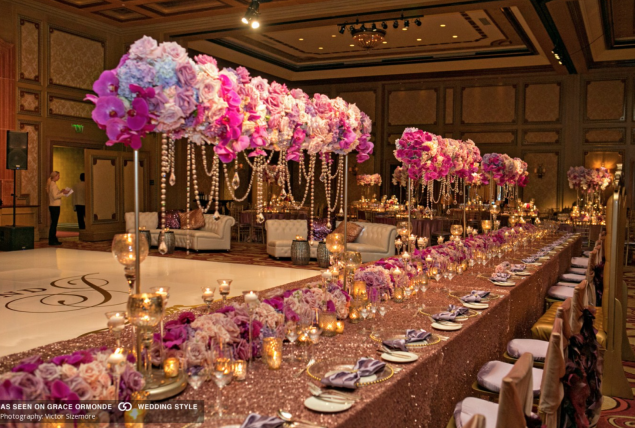 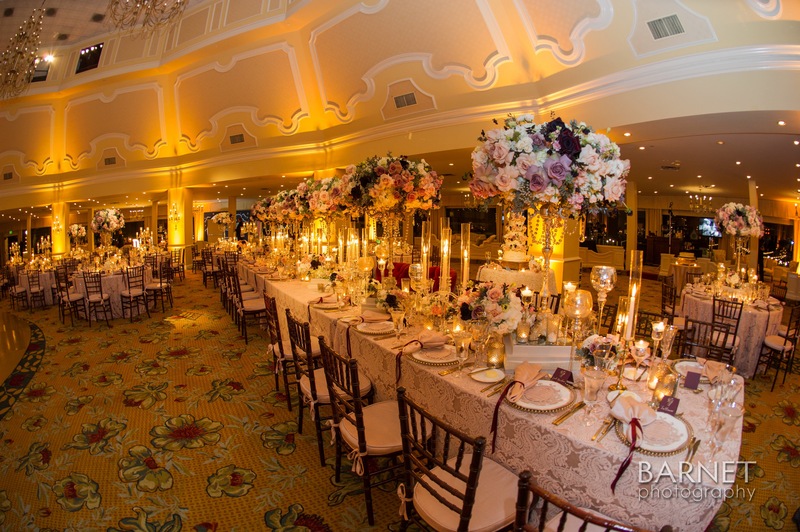 The sparkle of glittering crystal candelabras surrounded by lush, low floral centerpieces and layers of candlelight were scattered throughout tall, impressive floral centerpieces atop traditional gold stands. 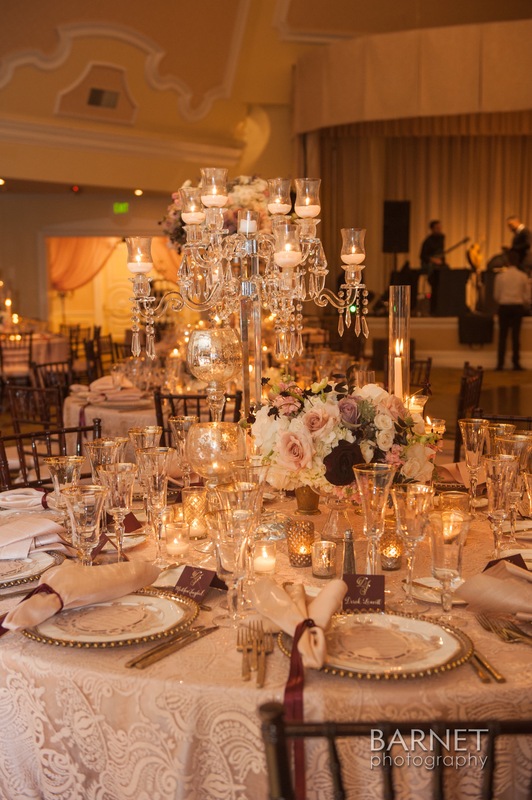 The head table boasted large centerpieces clustered with low, crystal candelabras featuring tall taper candles and golden candlelight. 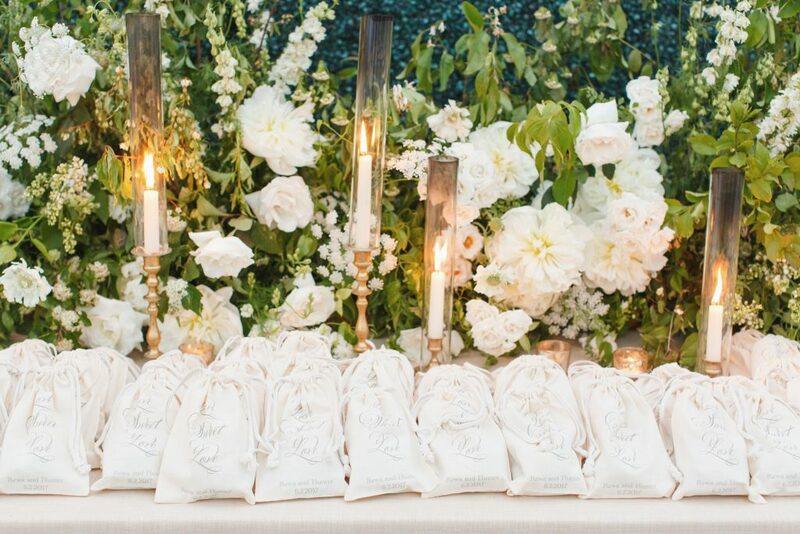 A festive ambiance was created with the movie “It’s a Wonderful Life” softly played in the background and custom ornaments were given out to each guest. 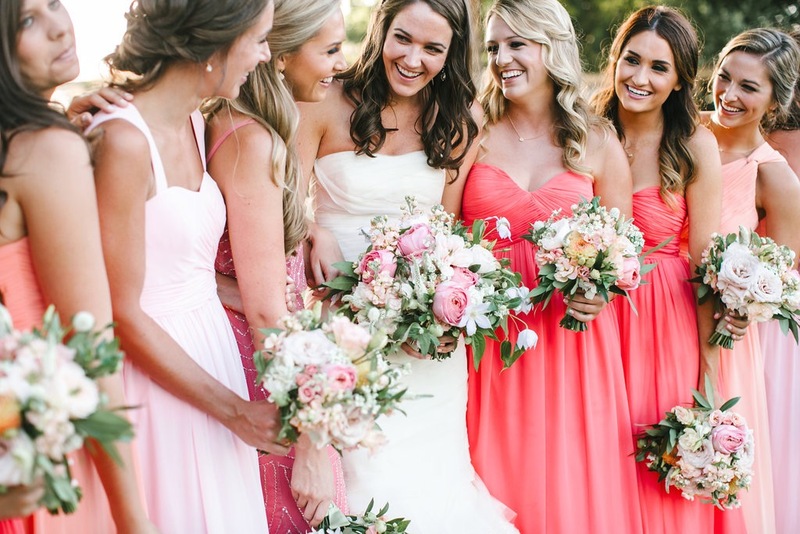 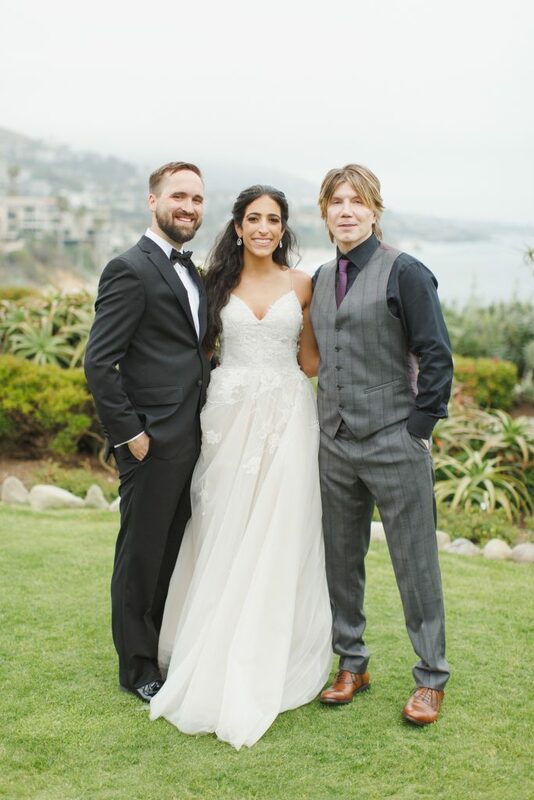 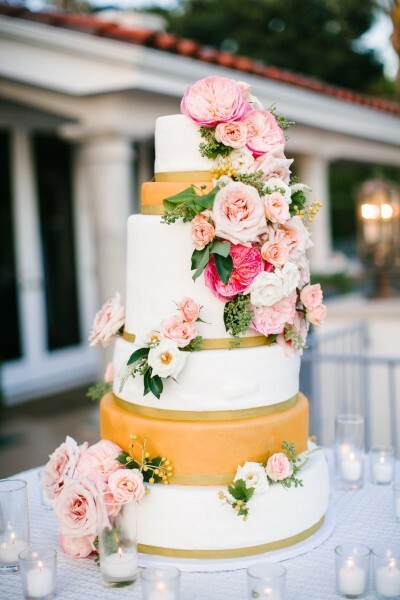 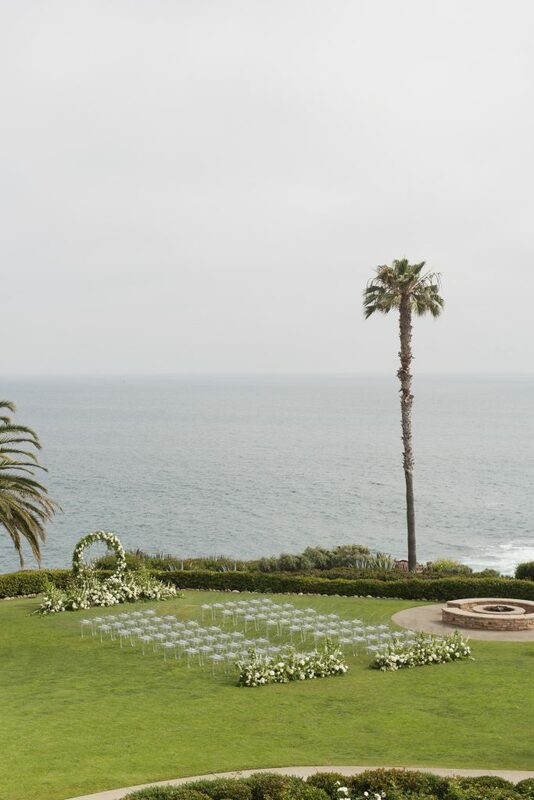 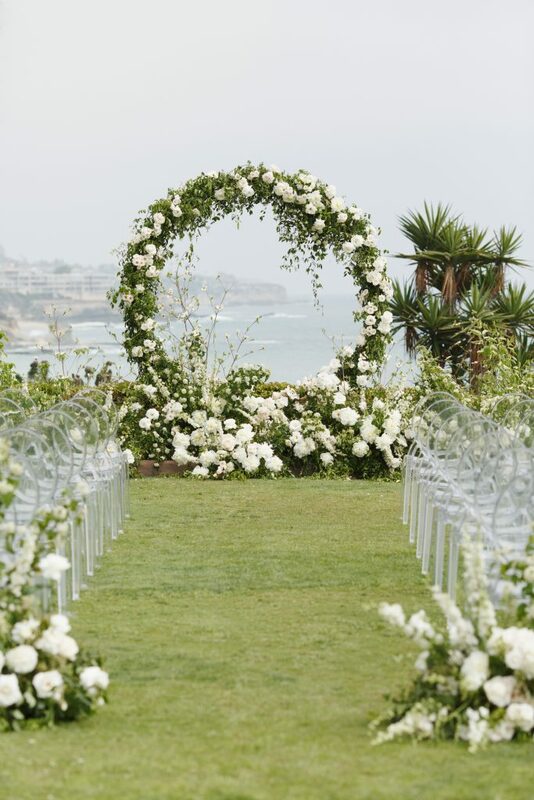 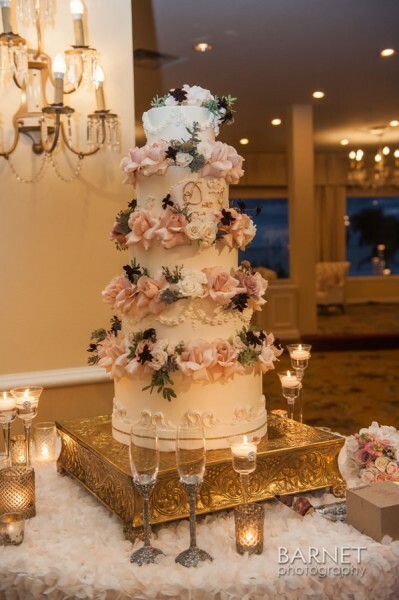 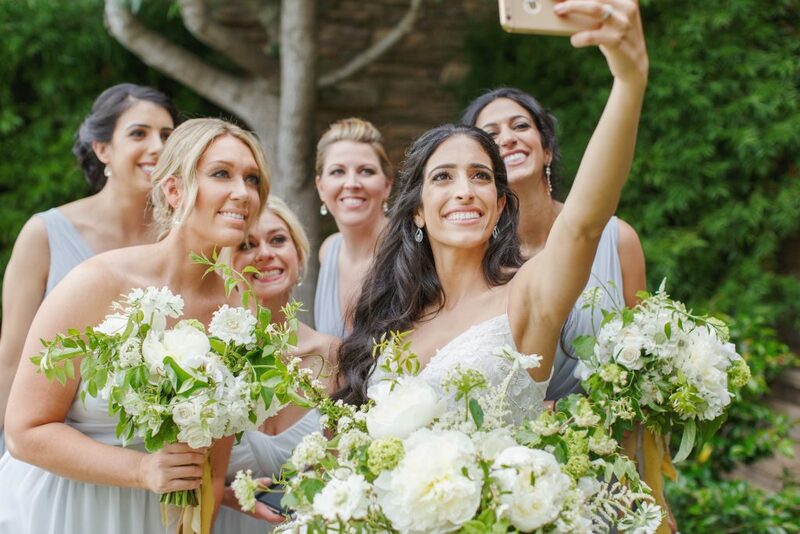 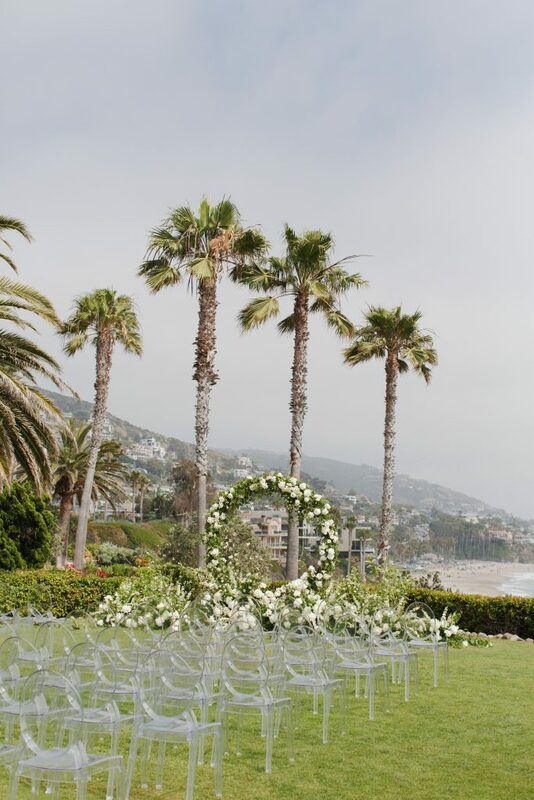 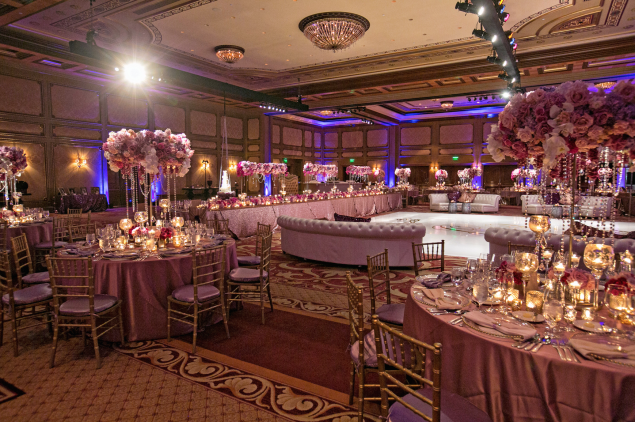 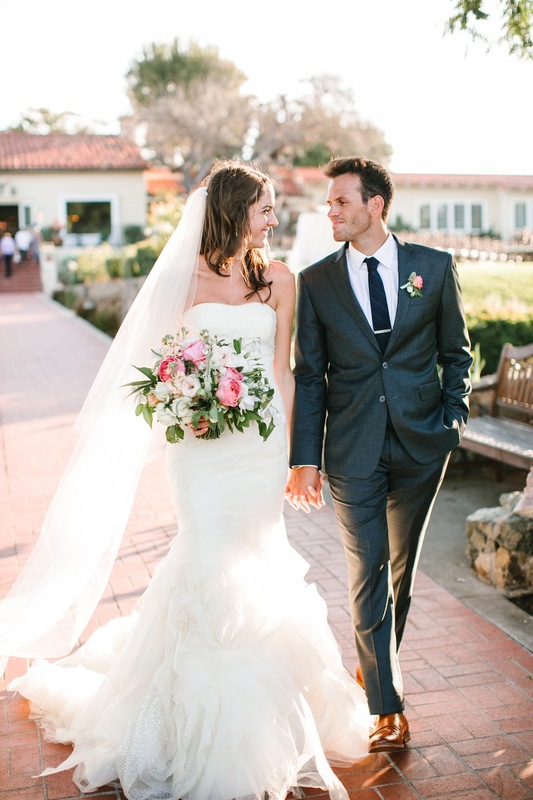 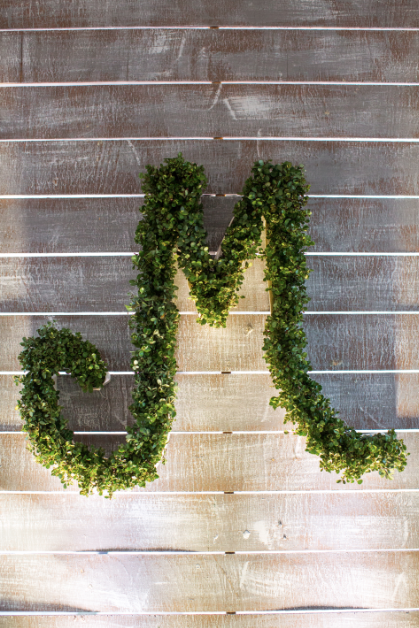 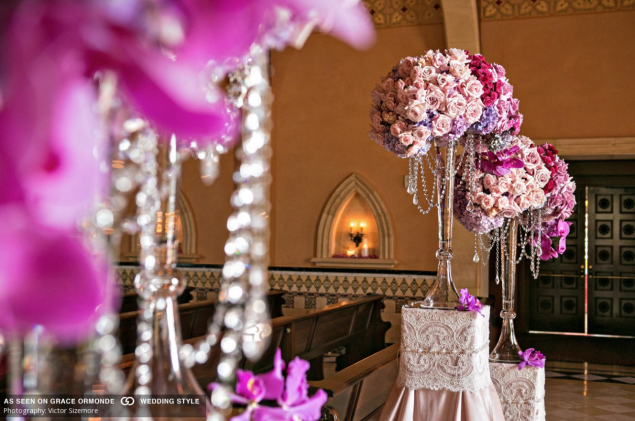 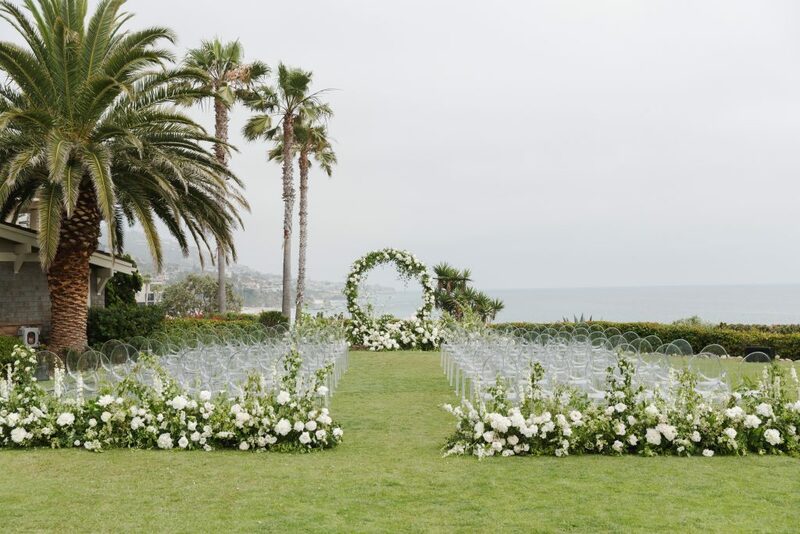 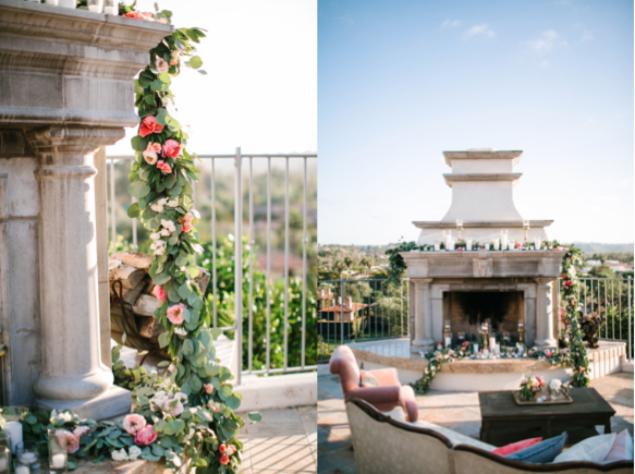 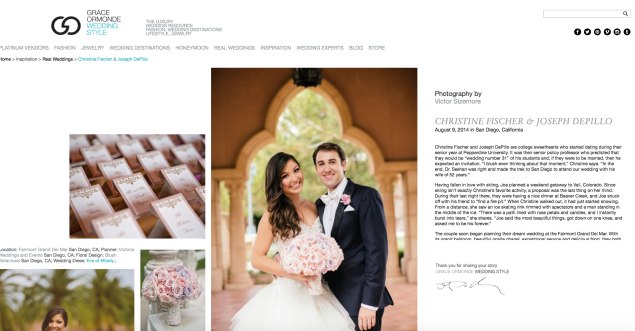 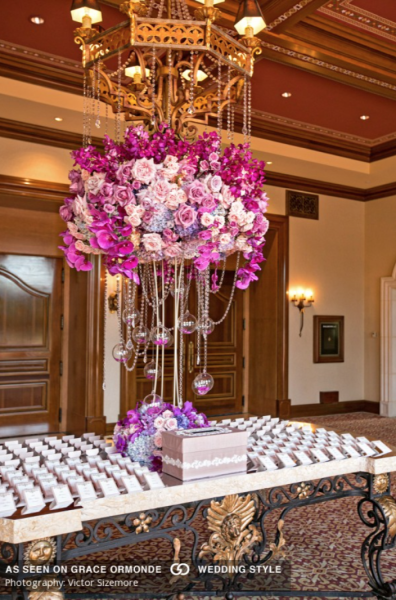 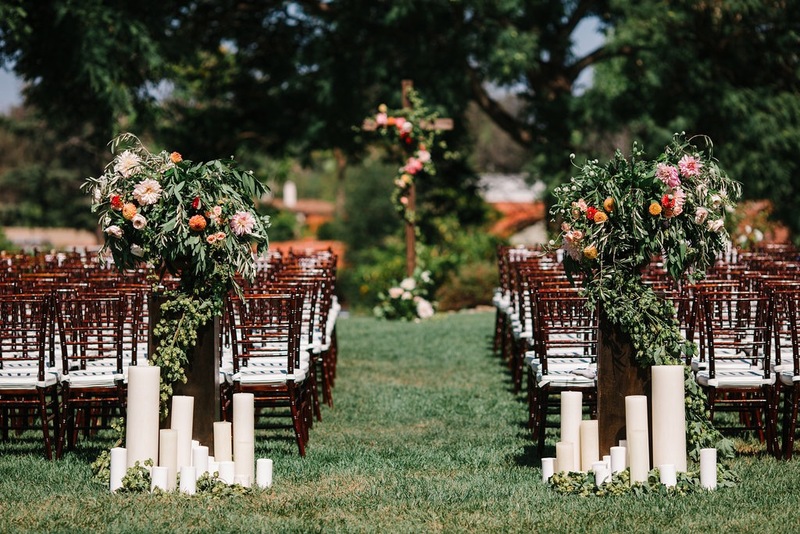 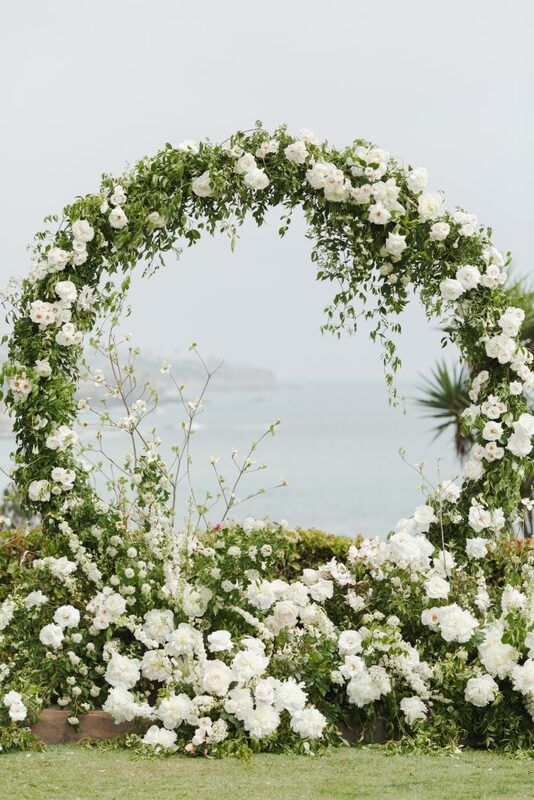 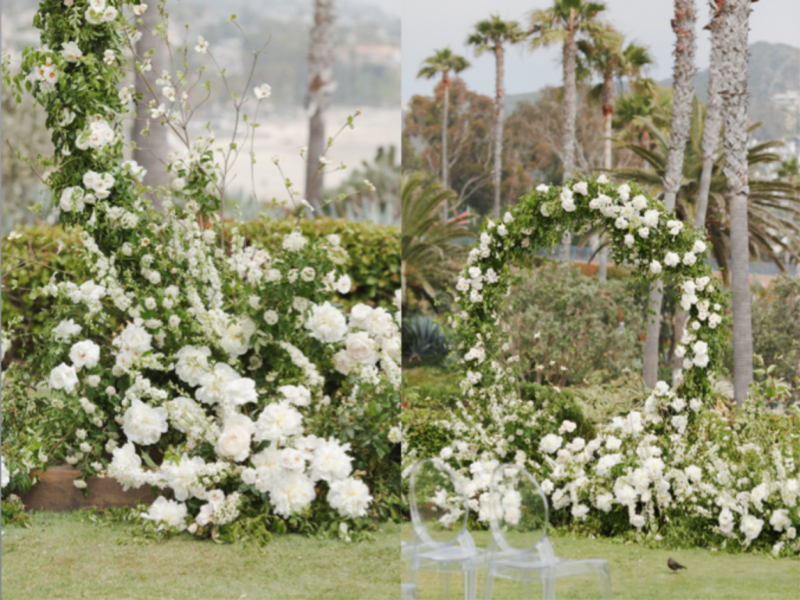 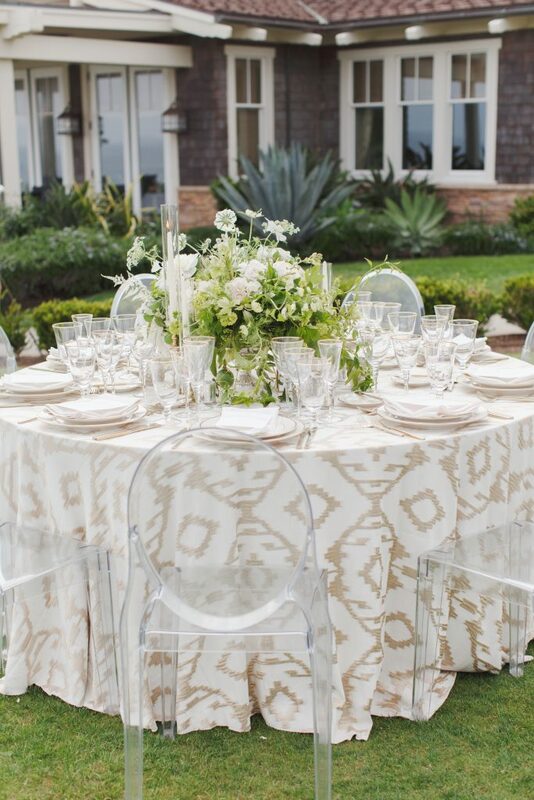 We are swooning over this awesome feature in Grace Ormonde Wedding Style of a vibrant wedding at the Grand Del Mar. 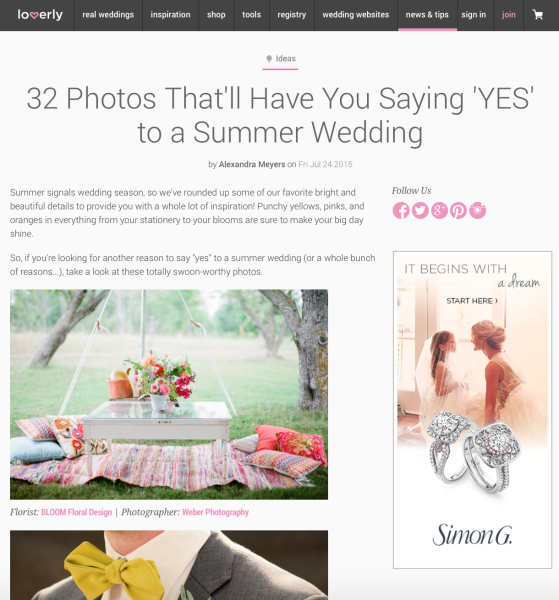 Click here or on the image below to get all of the juicy details! 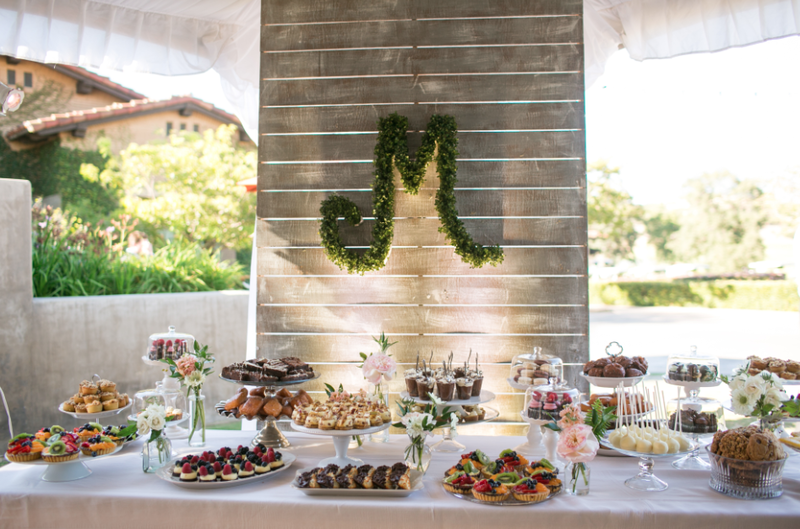 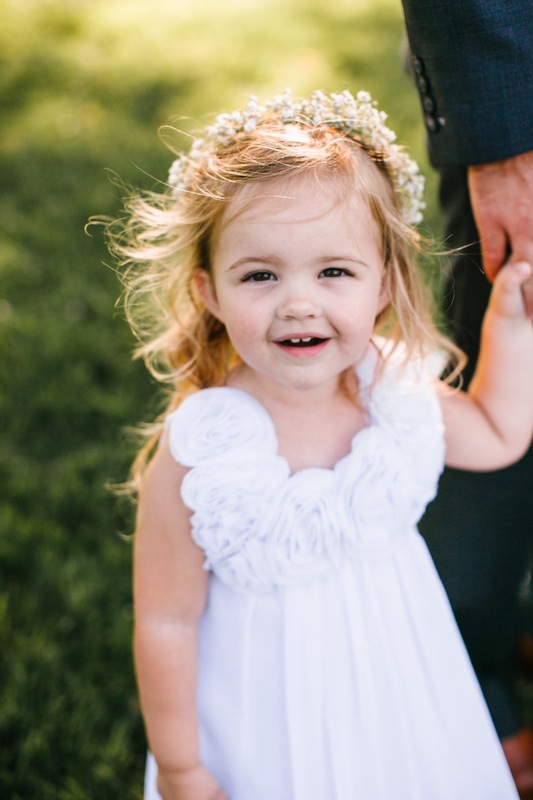 This drool-worthy fête was truly one for the books! 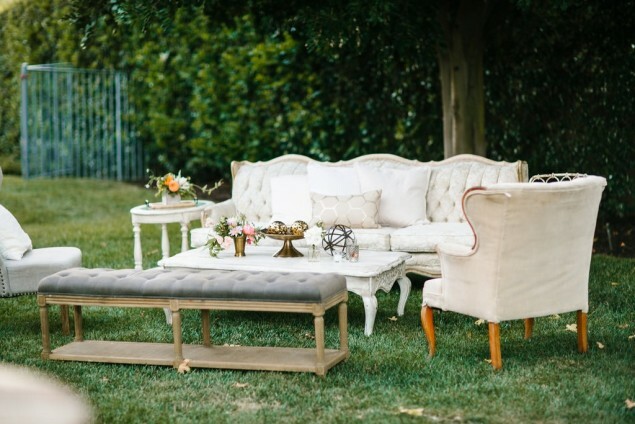 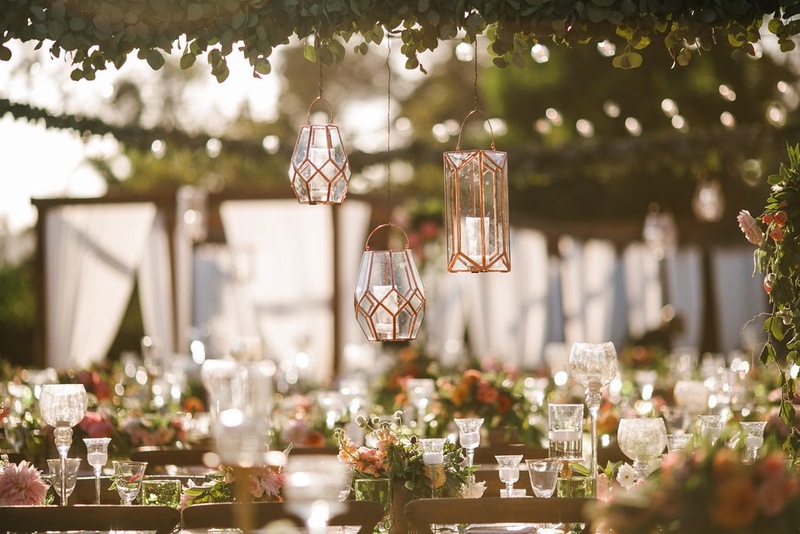 The talent at Luxe Events designed this shin-dig from start to finish with each piece of furniture carefully sourced by the Luxe ladies (from Archive Vintage Rentals). 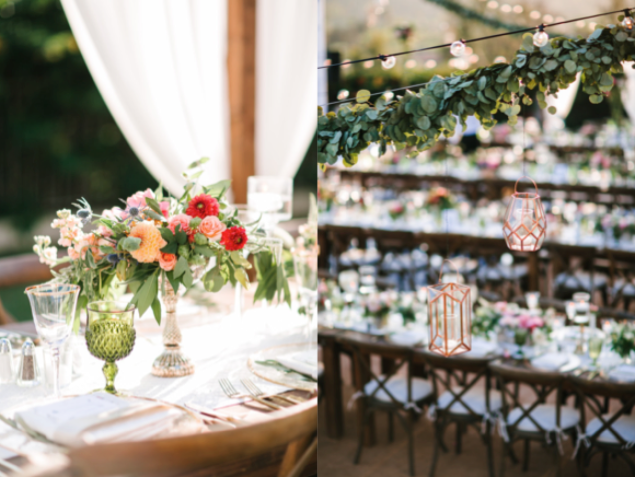 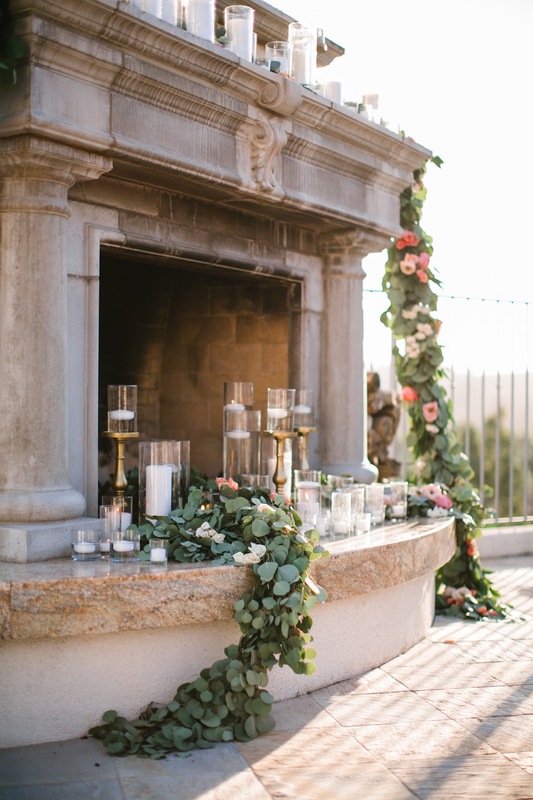 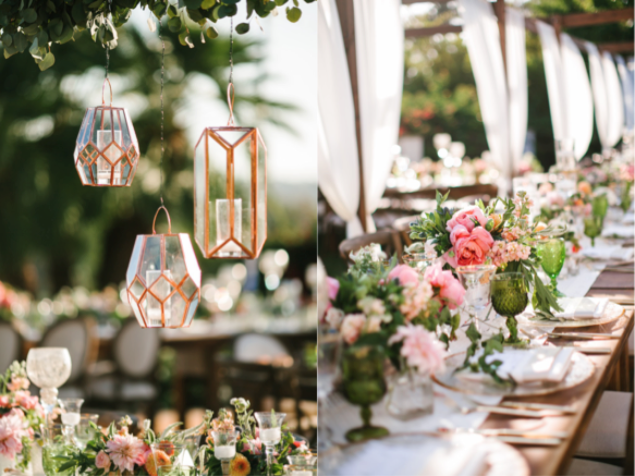 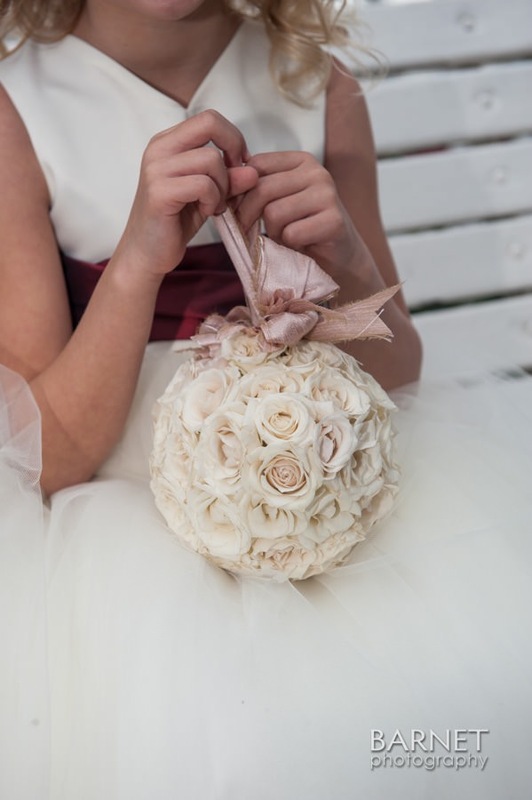 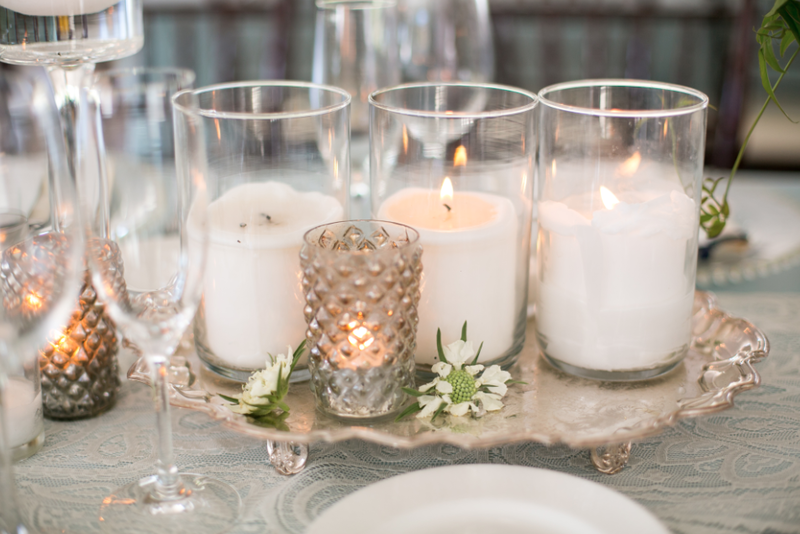 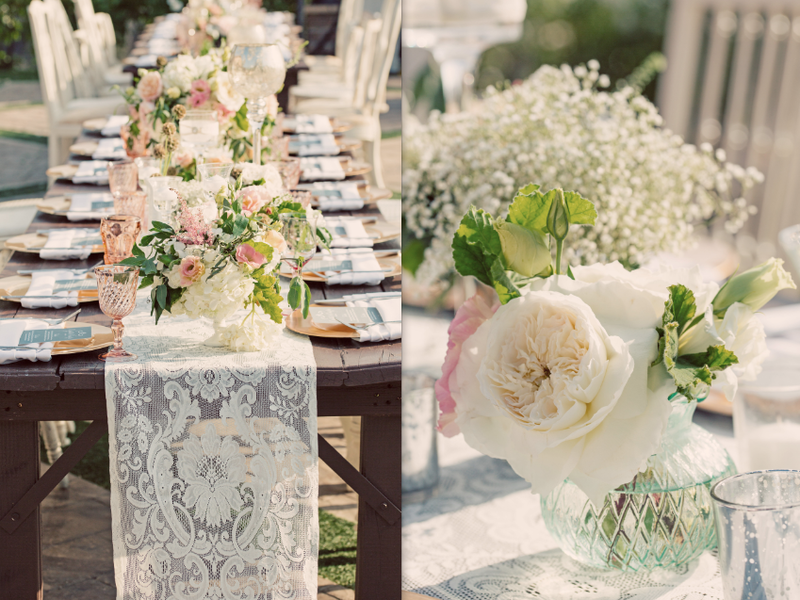 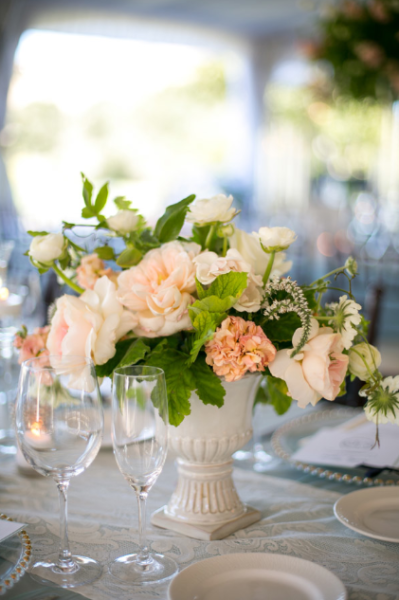 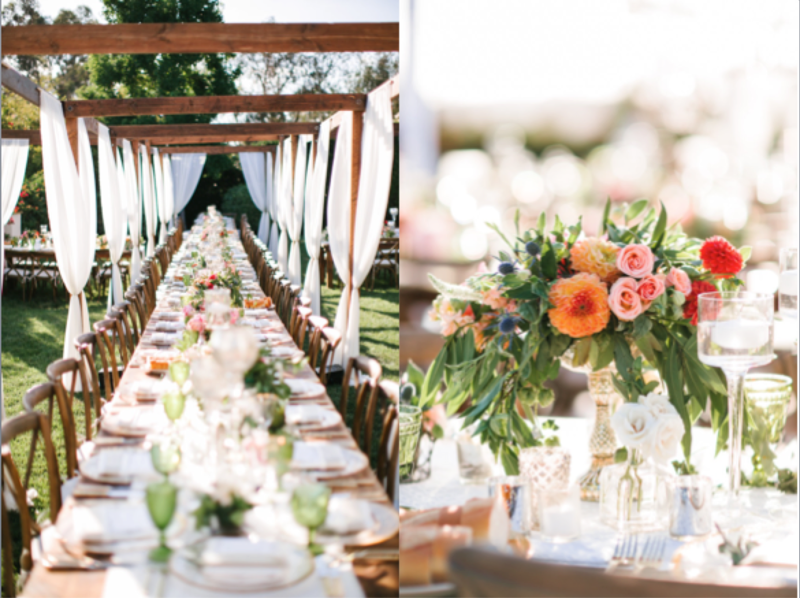 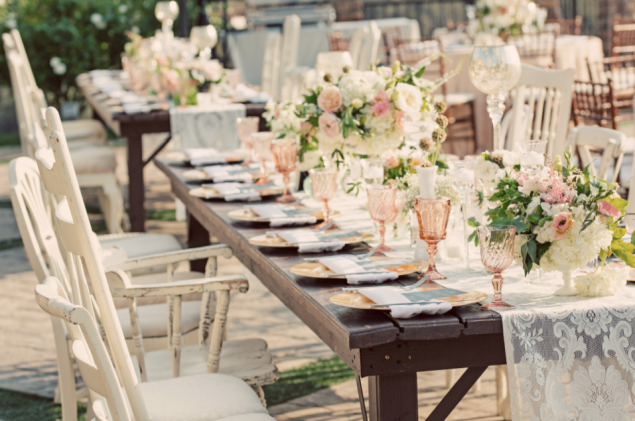 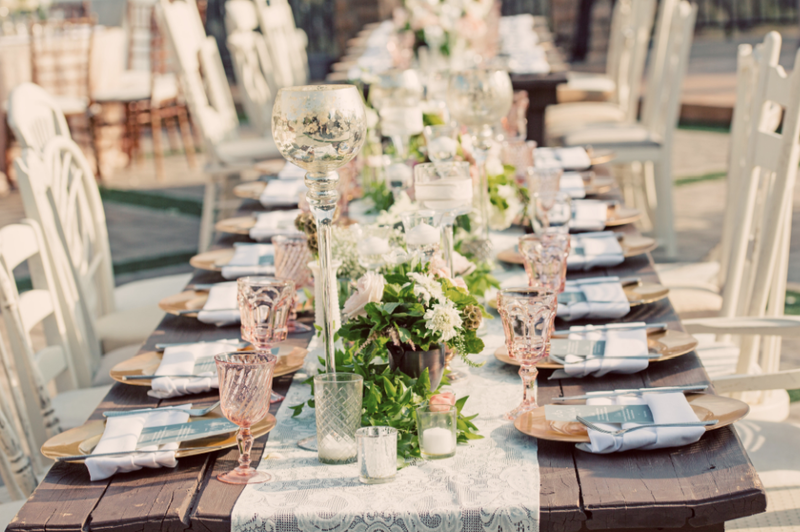 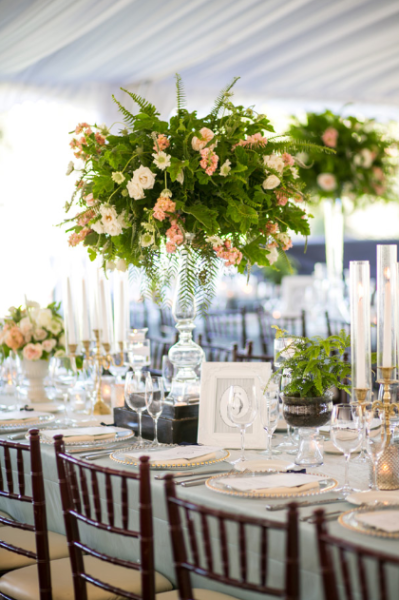 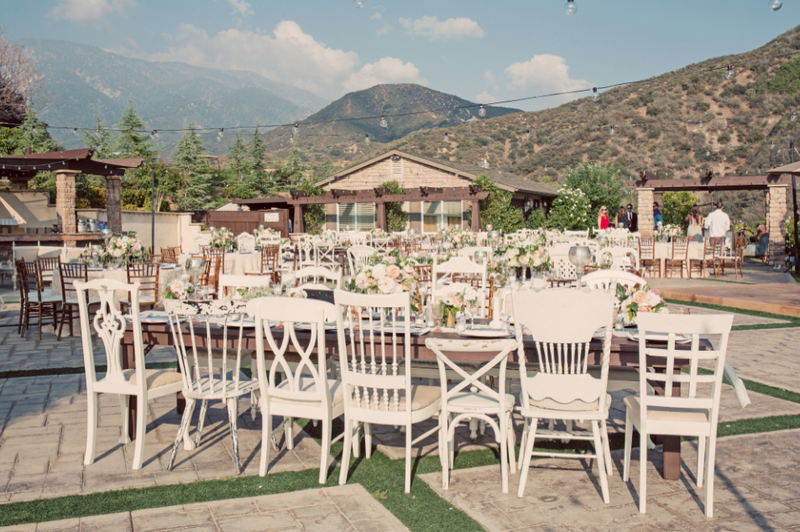 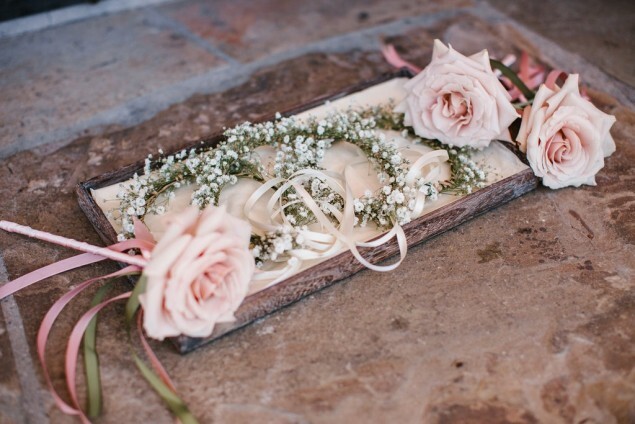 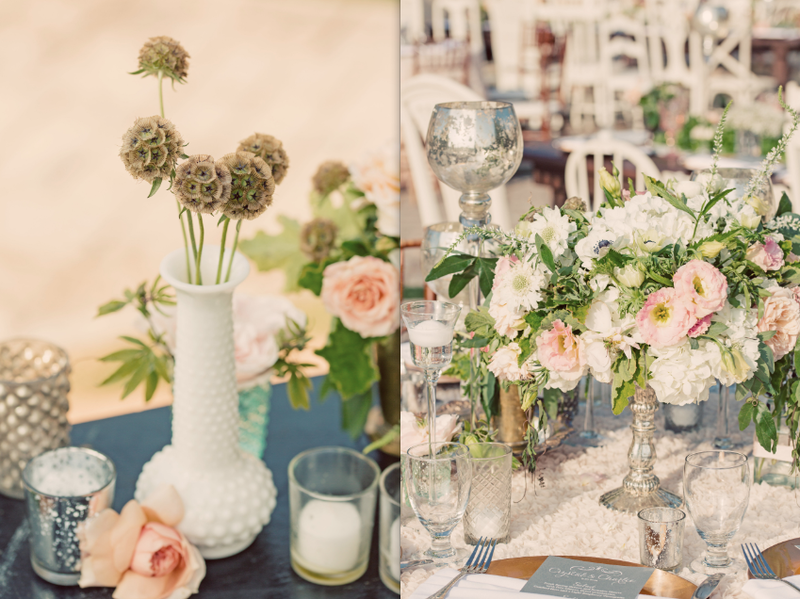 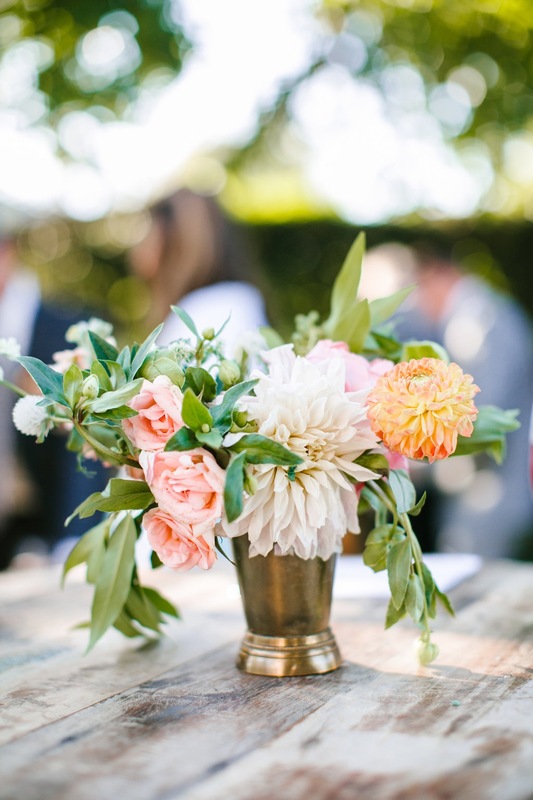 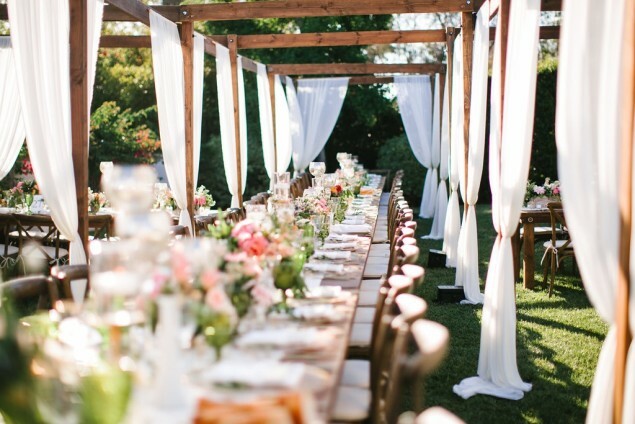 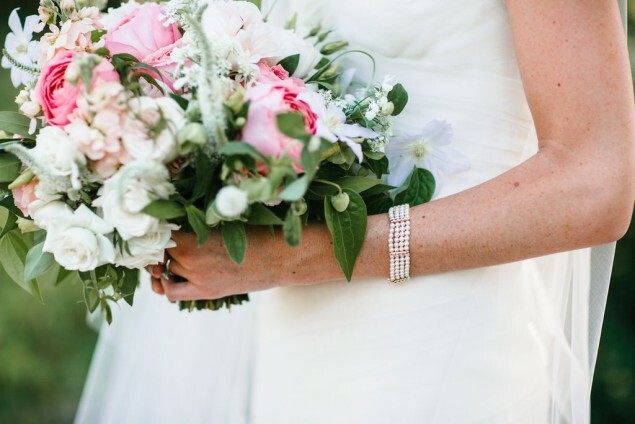 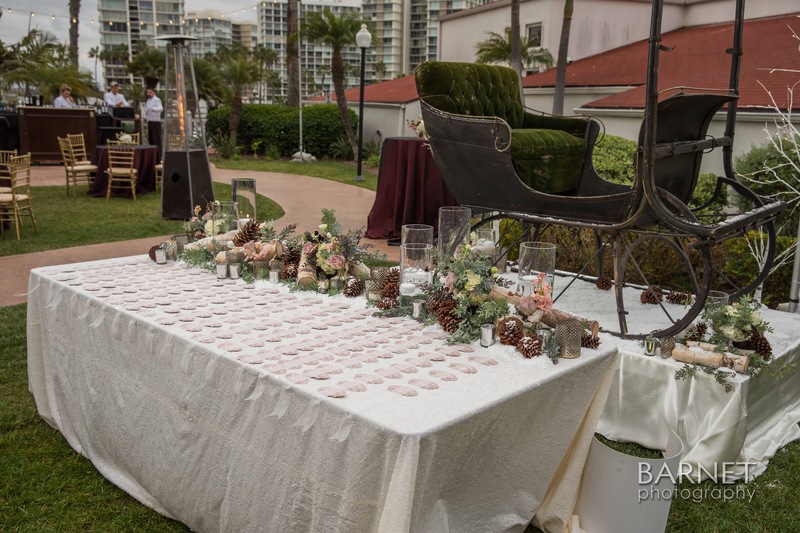 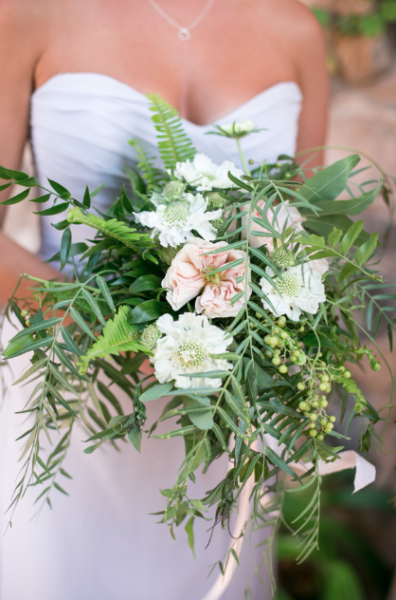 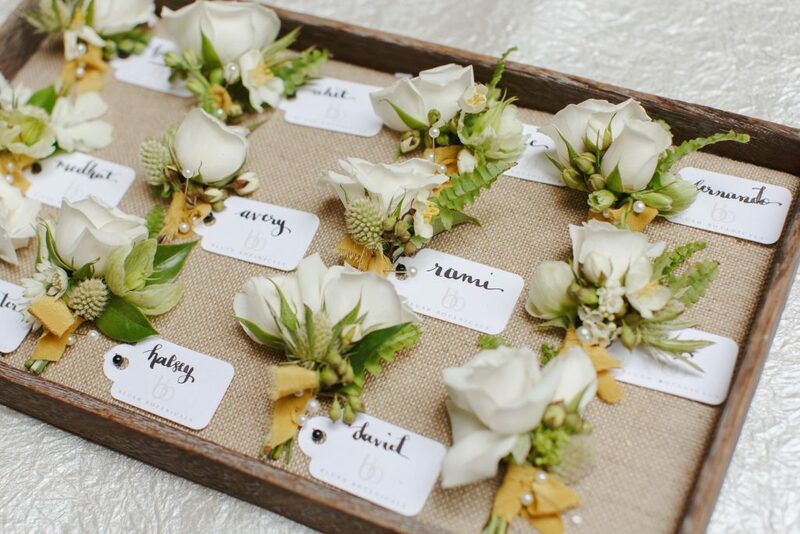 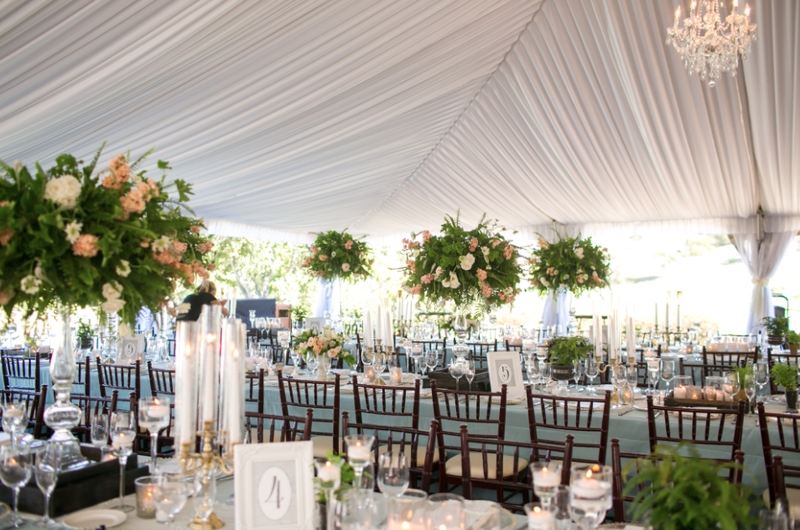 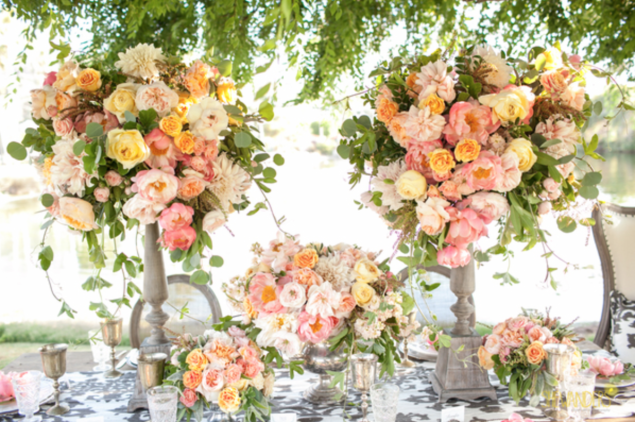 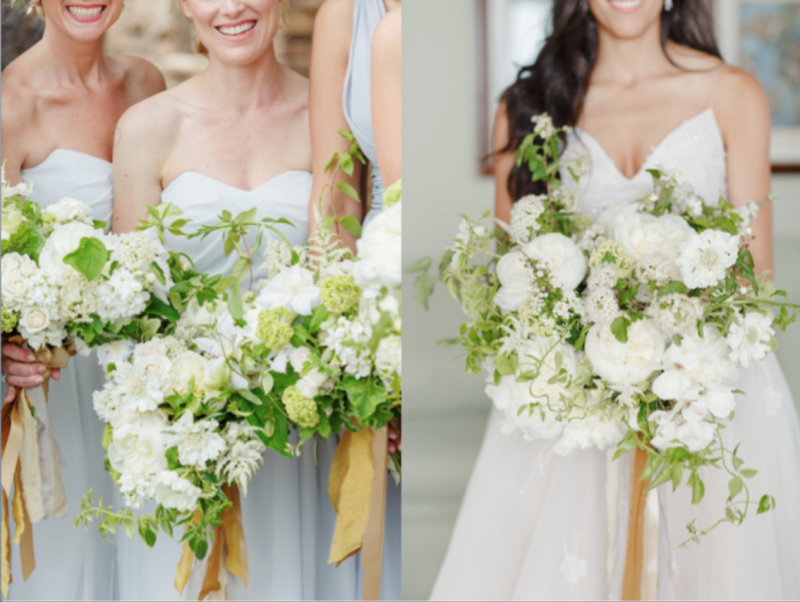 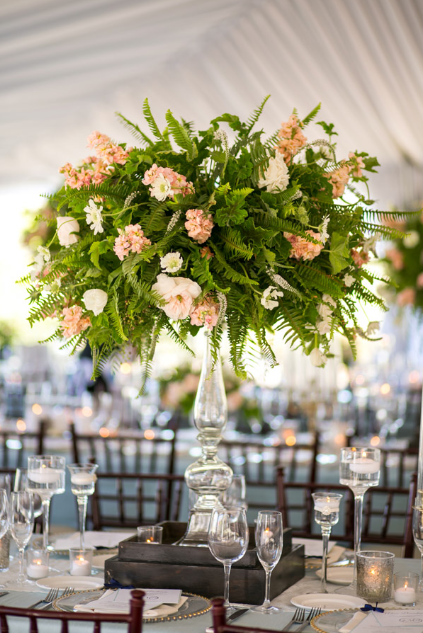 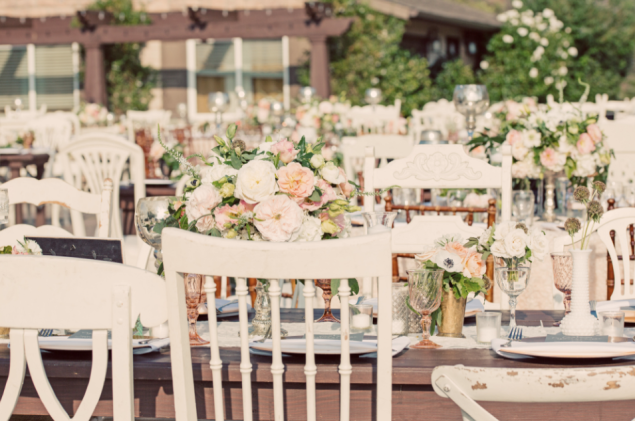 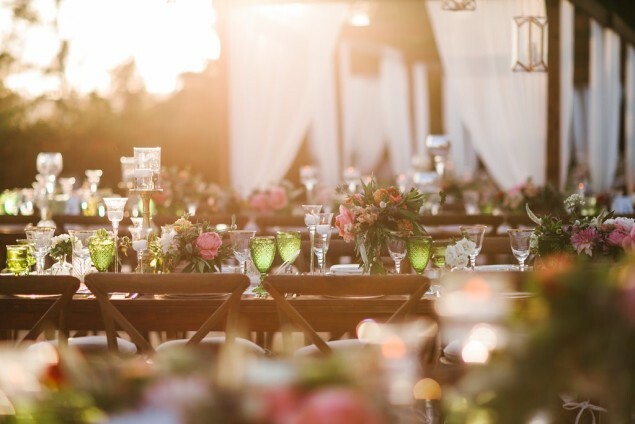 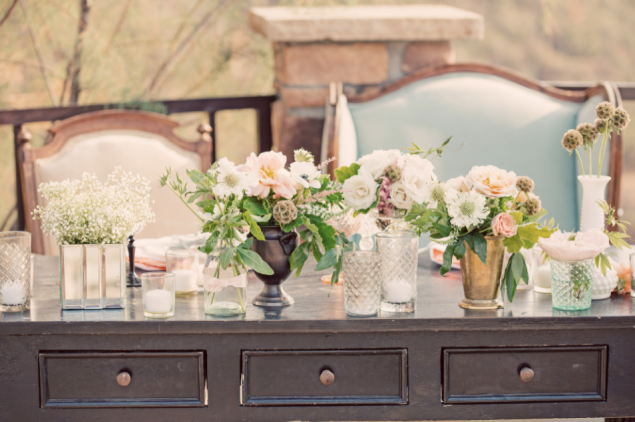 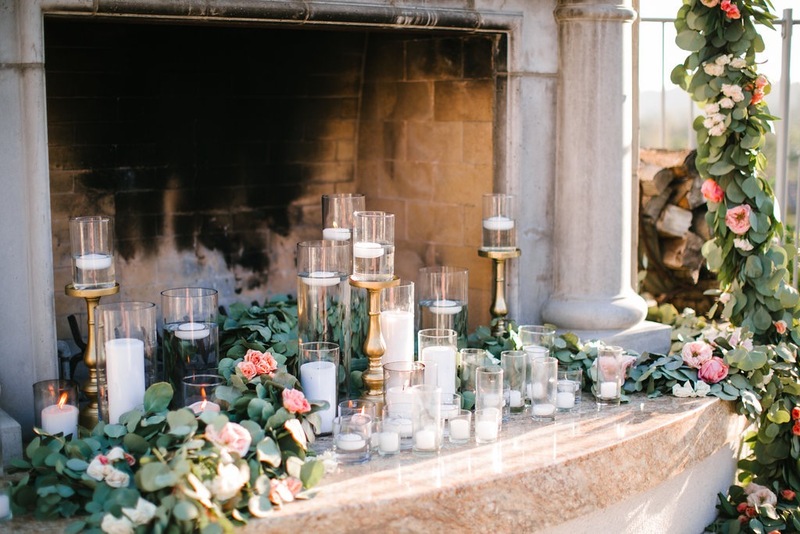 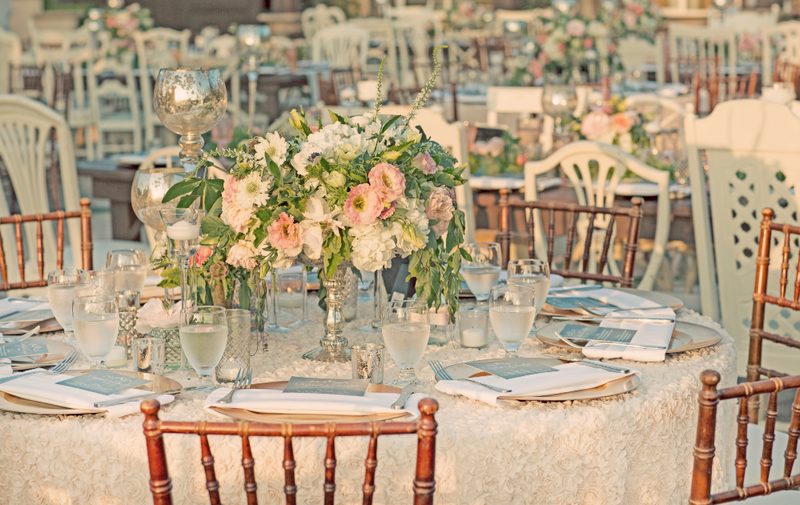 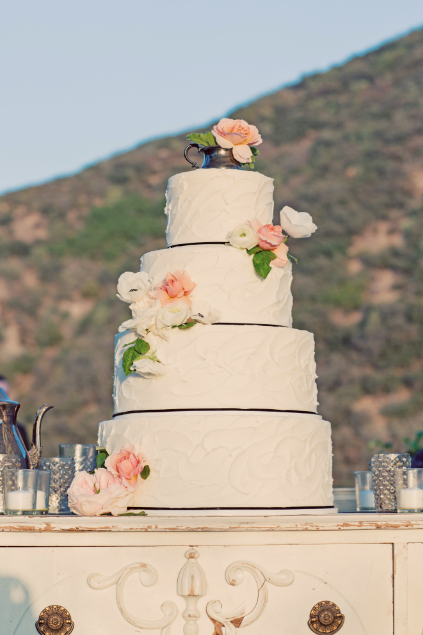 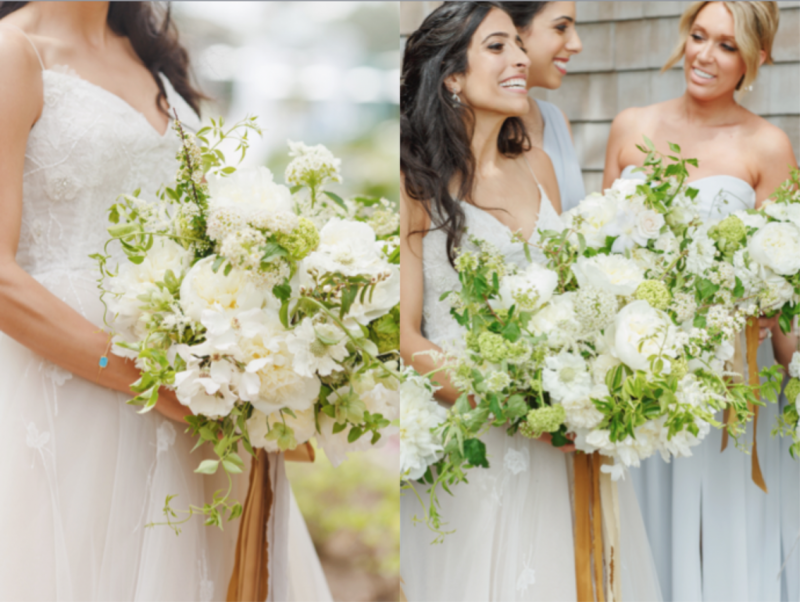 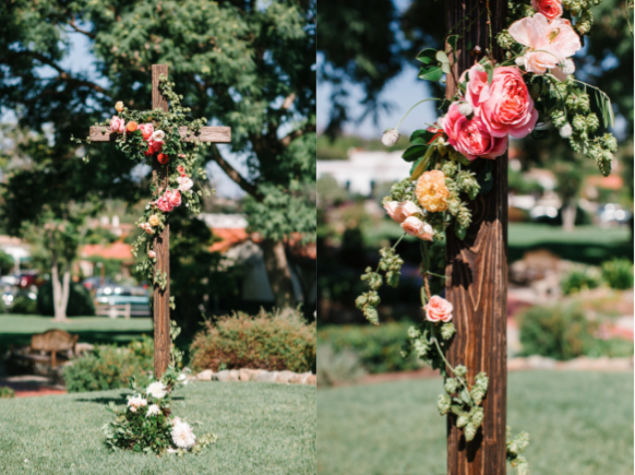 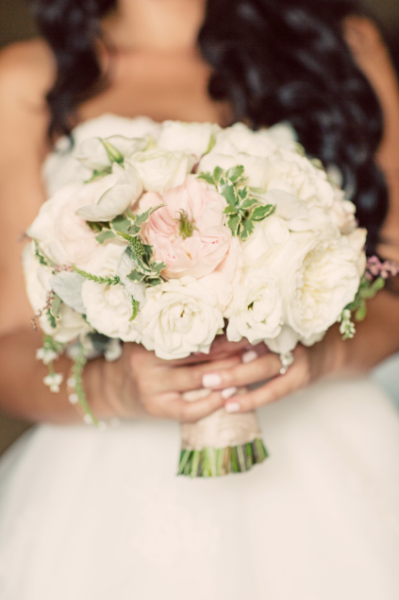 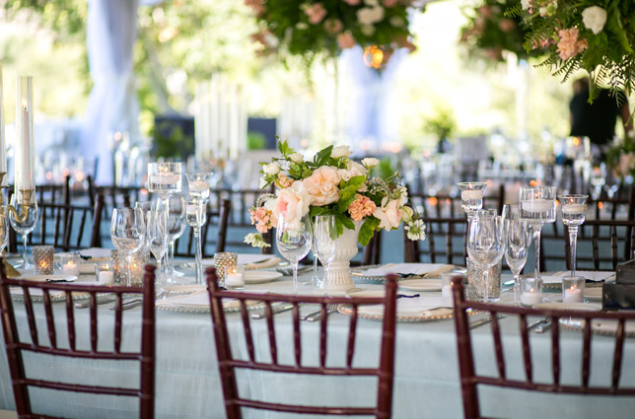 Crystal chose a soft palette of blushes, peaches and ivories with fresh, natural greens and rustic elements throughout. 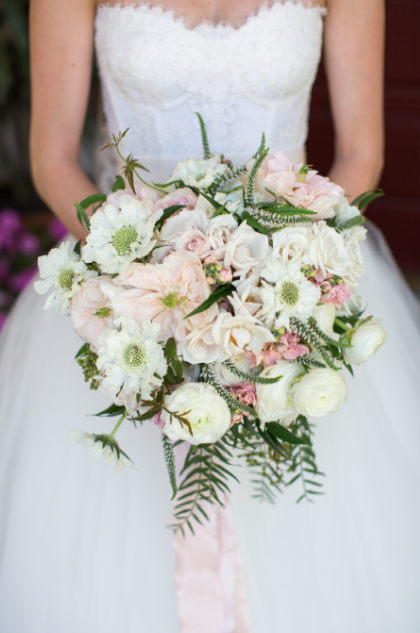 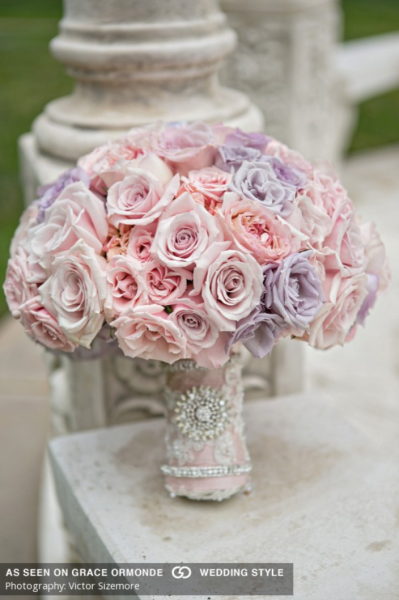 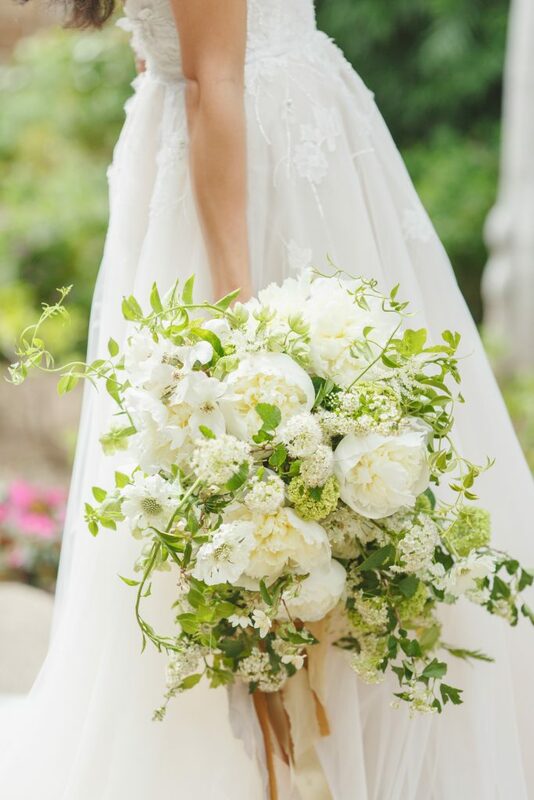 C’s soft bouquet was created with various garden roses paired with soft stock, lisianthus, spray roses and other like blooms with a gentle peek-a-boo of greens. 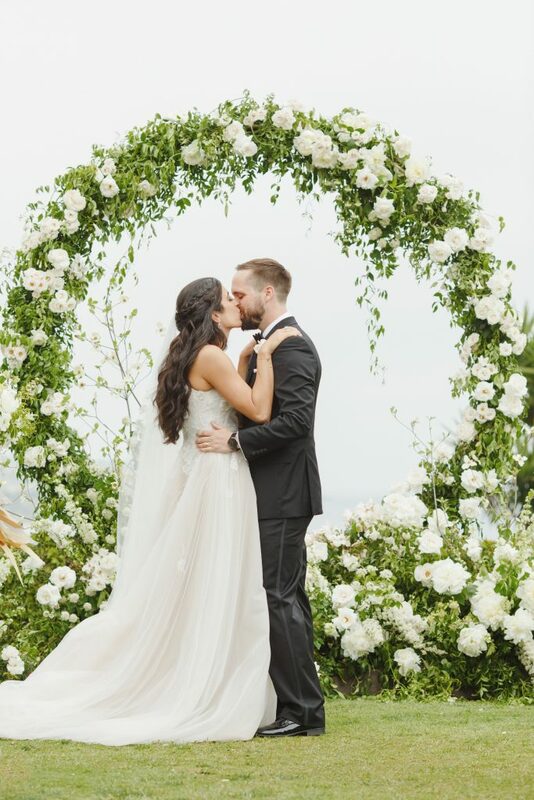 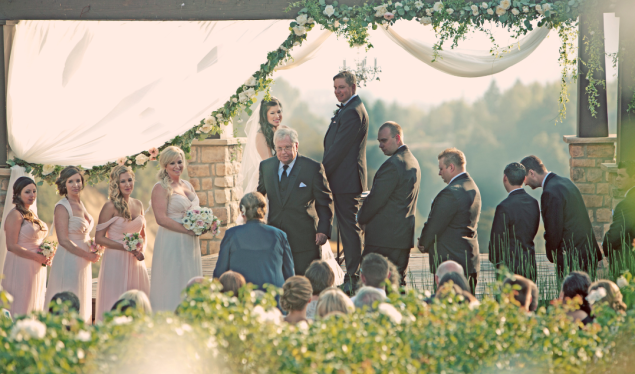 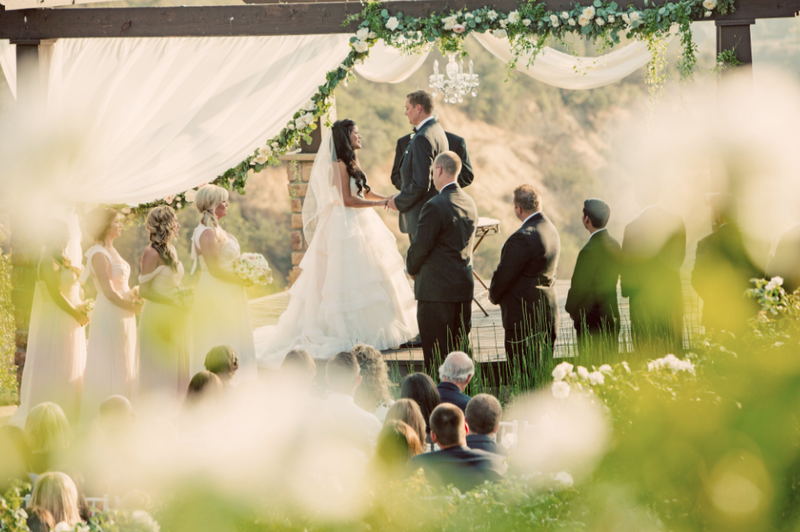 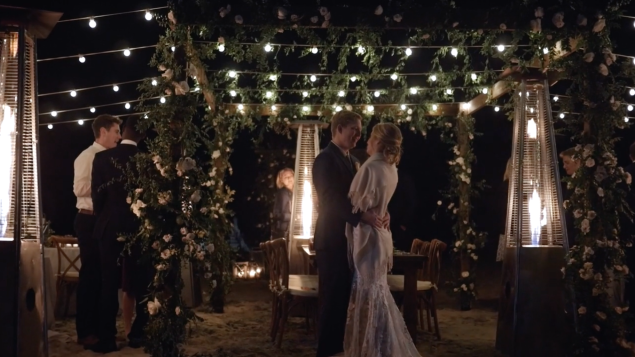 The breathtaking mountain-side ceremony took place within the valley of the Serendipity Oaks Ranch venue, where we accented their structure with soft, sheer ivory draping and rich, natural garland. 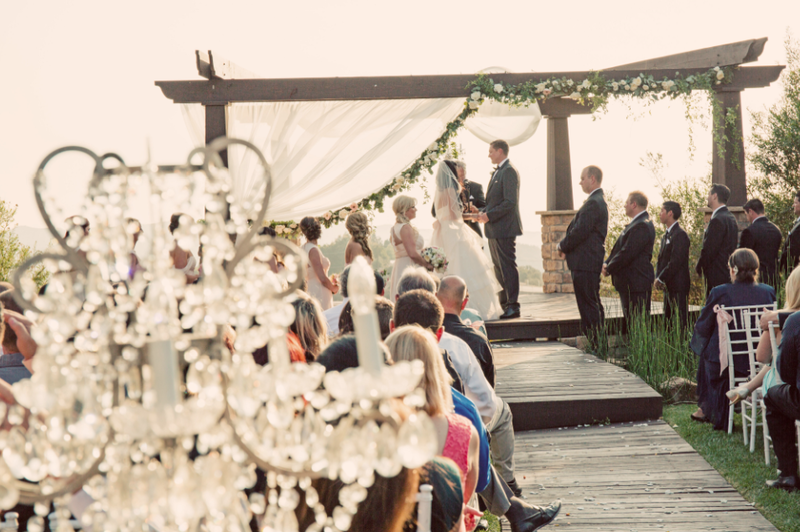 We placed a crystal chandelier in the center to add a bit of glam to the scene and placed free-standing crystal chandeliers at the entry to the aisle. 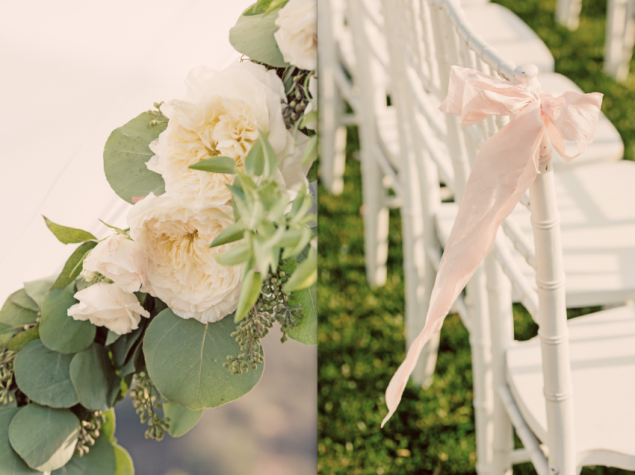 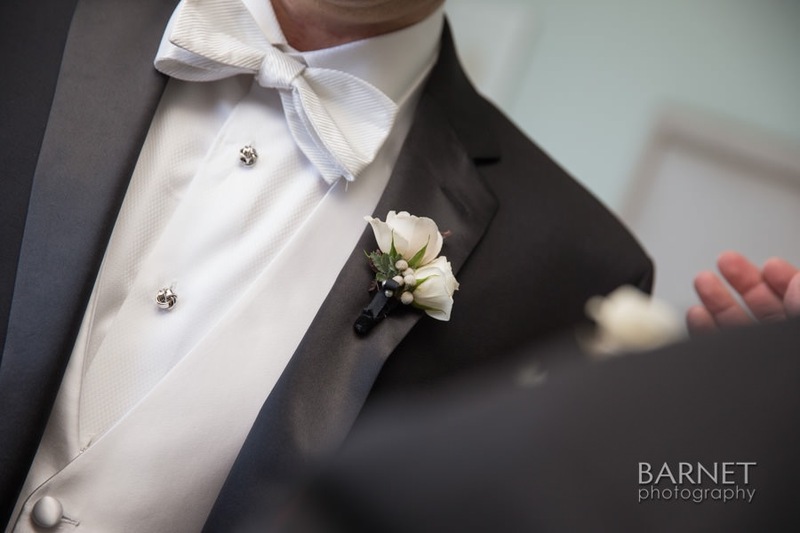 Soft dupioni silk bows were placed down the aisle chairs. 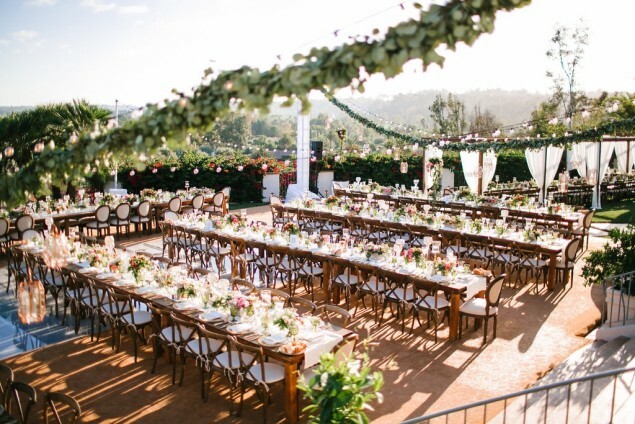 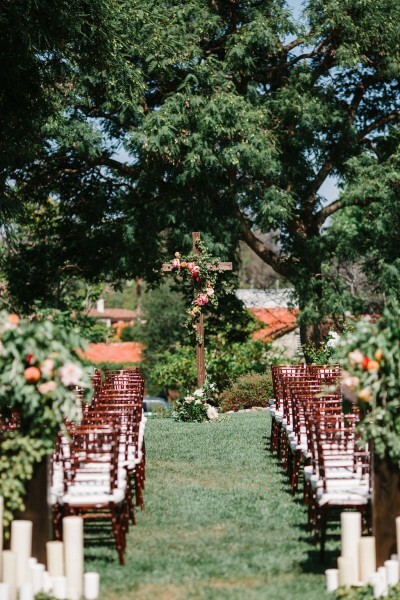 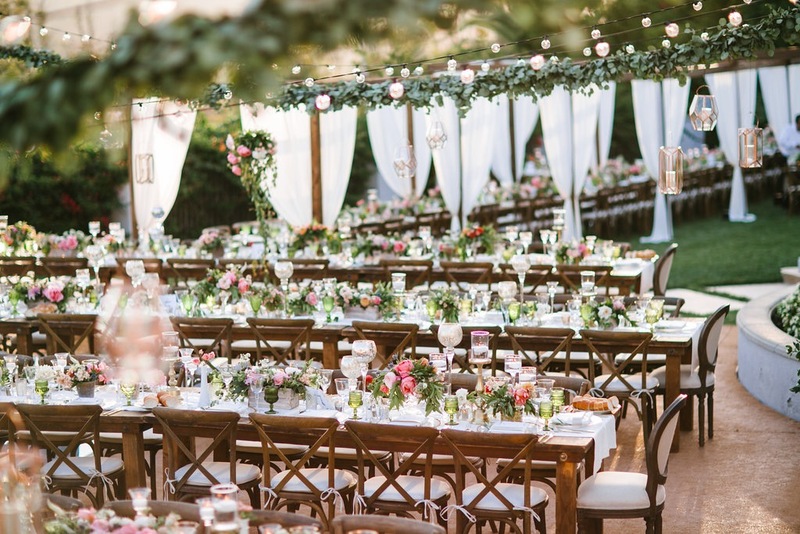 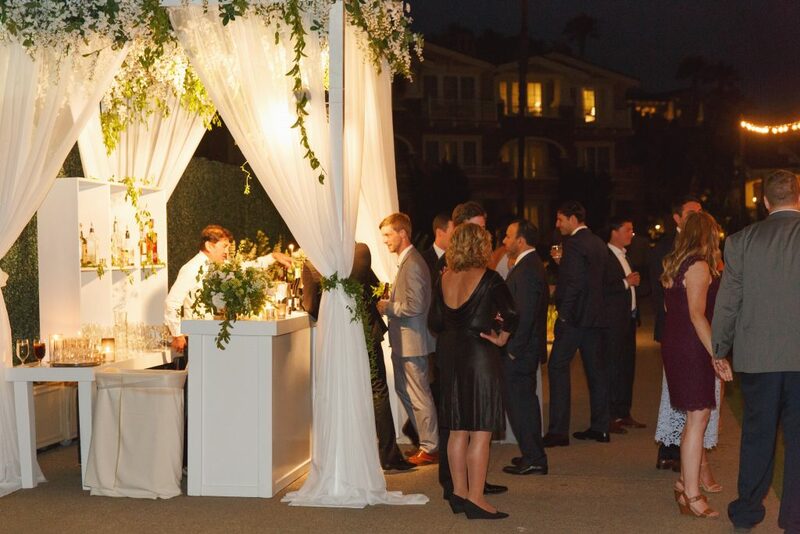 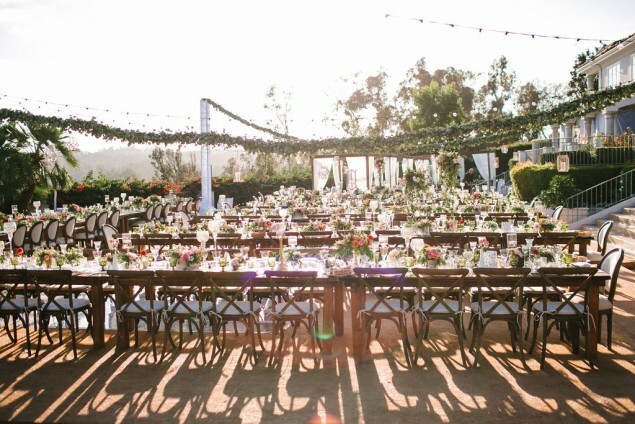 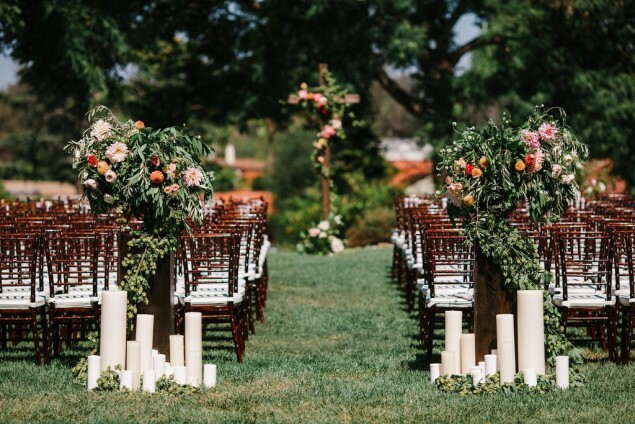 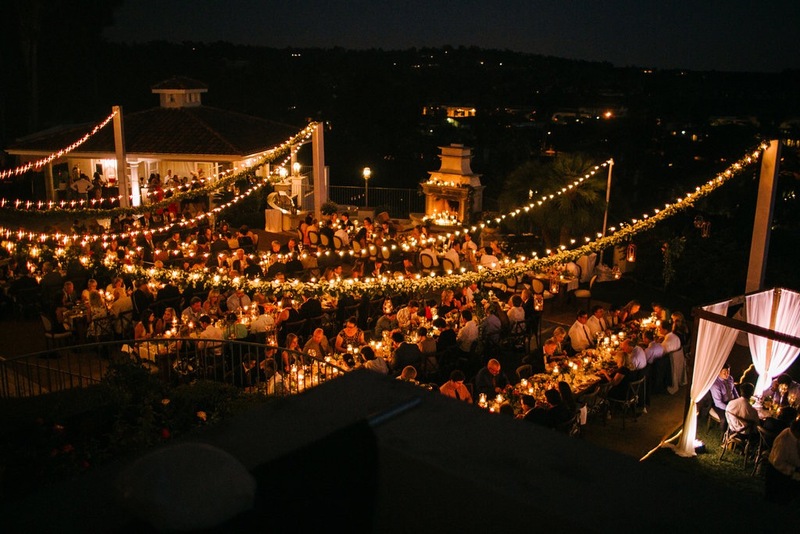 To say the reception was simply “detailed” would surely be an understatement, with a pairing of round linen-covered guest tables, wood tables and vintage furniture pieces. We brought in a plethora of unique vessels in textured mercury glass, soft sea foam glass, vintage crystal, bronze, gold, silver and glass. 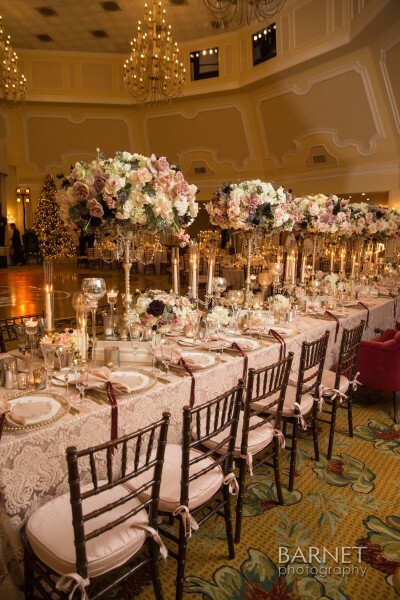 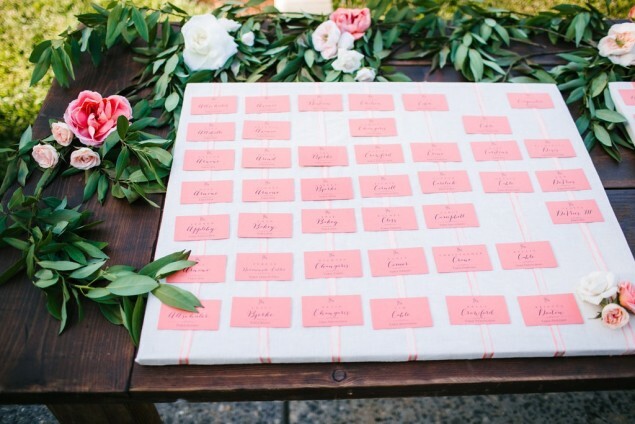 Unique vignettes were created on tables, along with some banquet tables being covered in a lush, floral-accented garland. 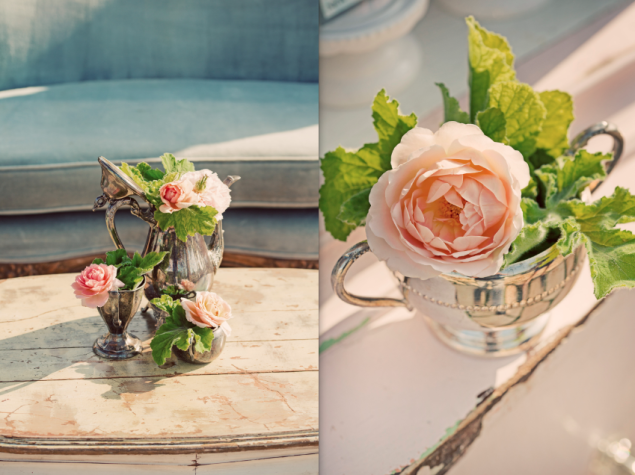 A huge thank you to Justin Lee Photography for capturing each image so beautifully!!!! 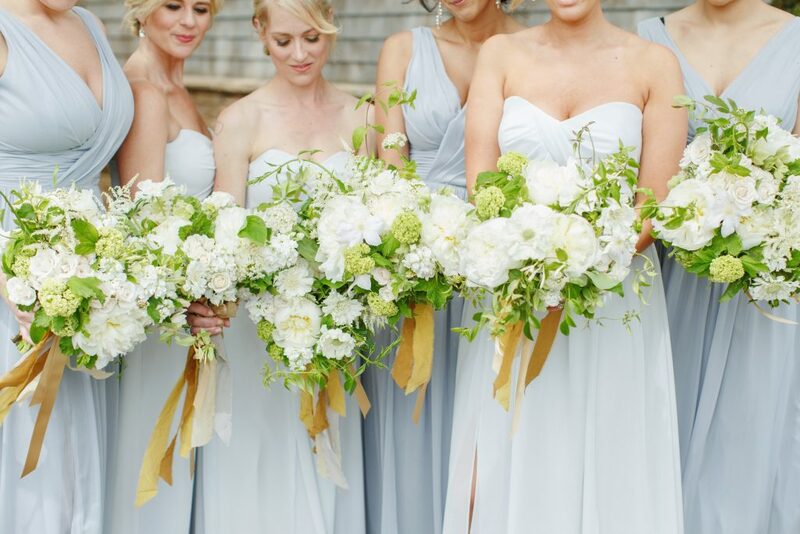 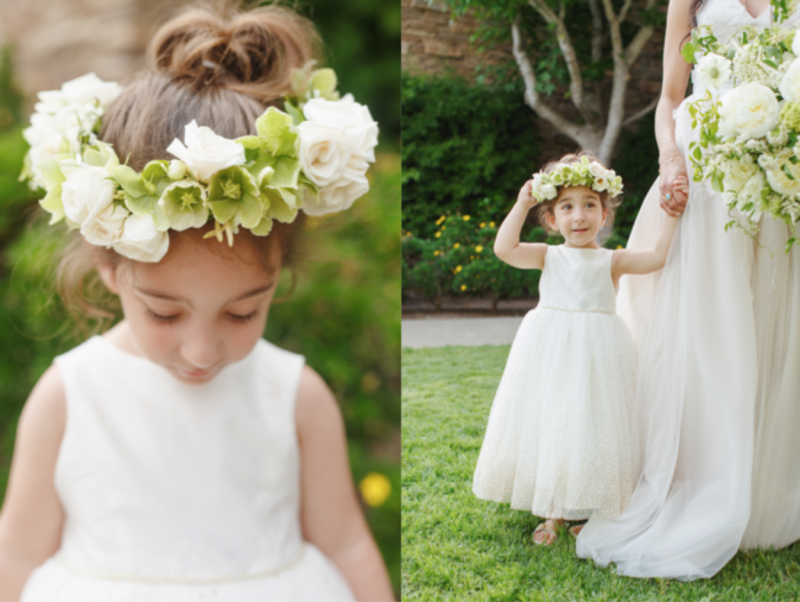 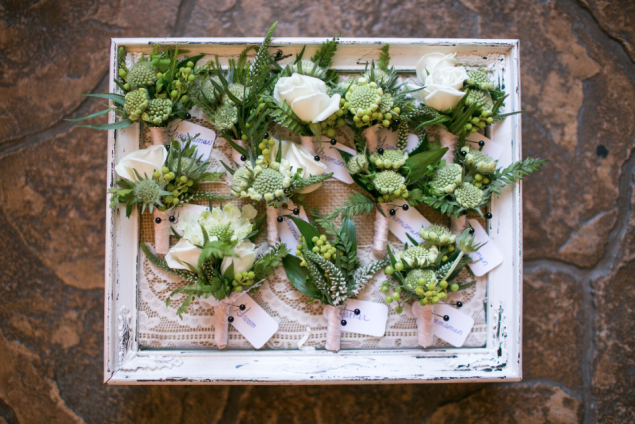 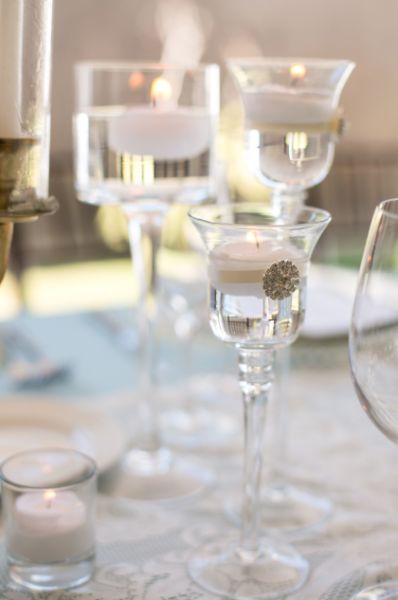 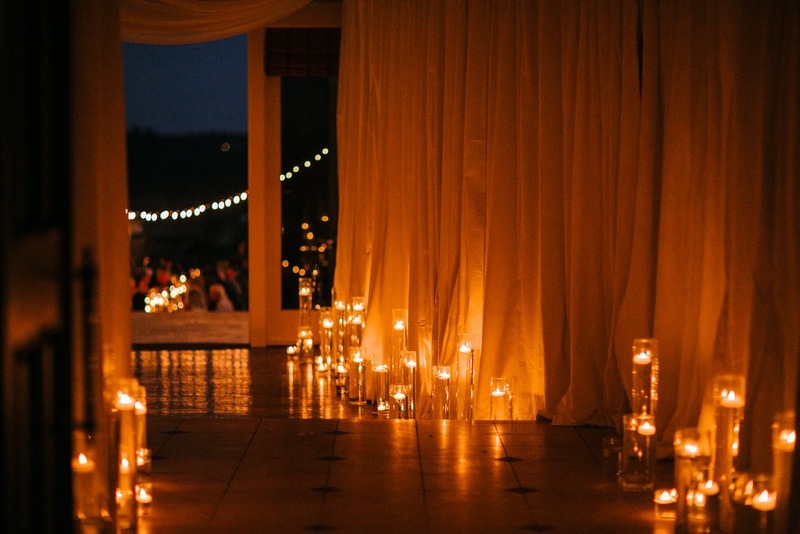 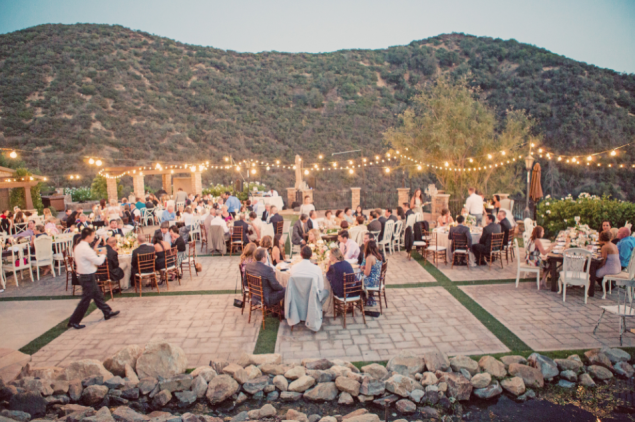 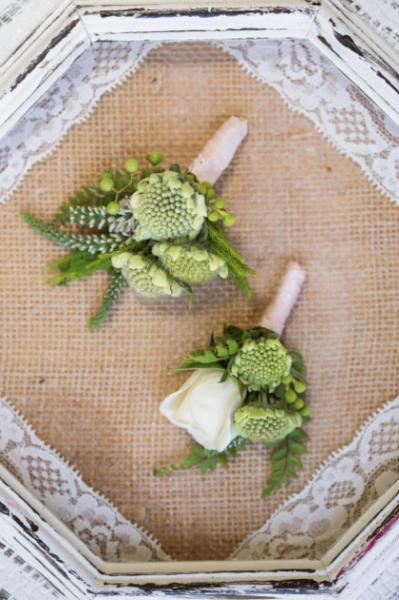 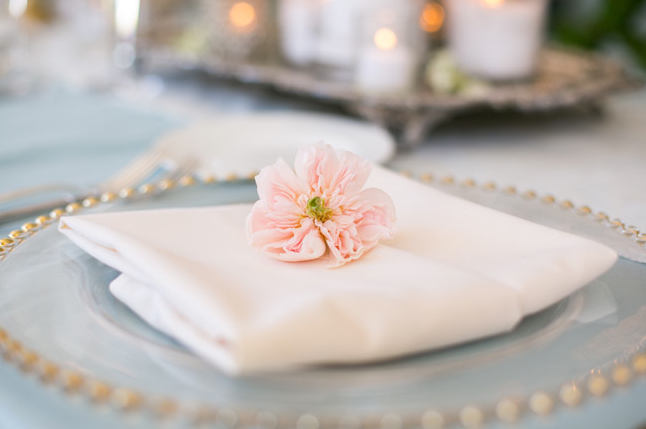 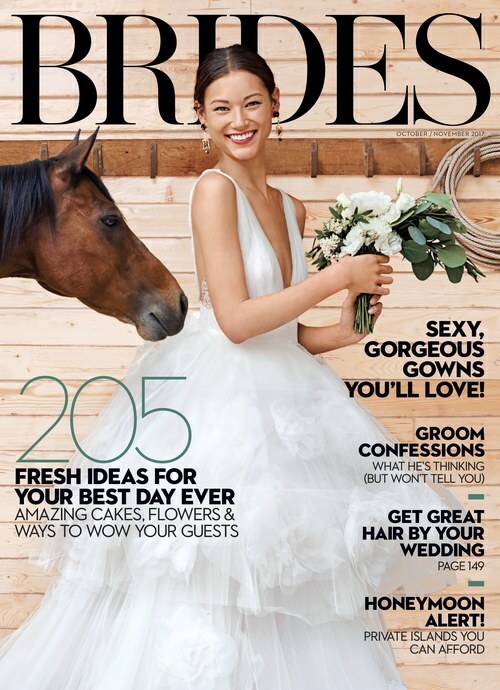 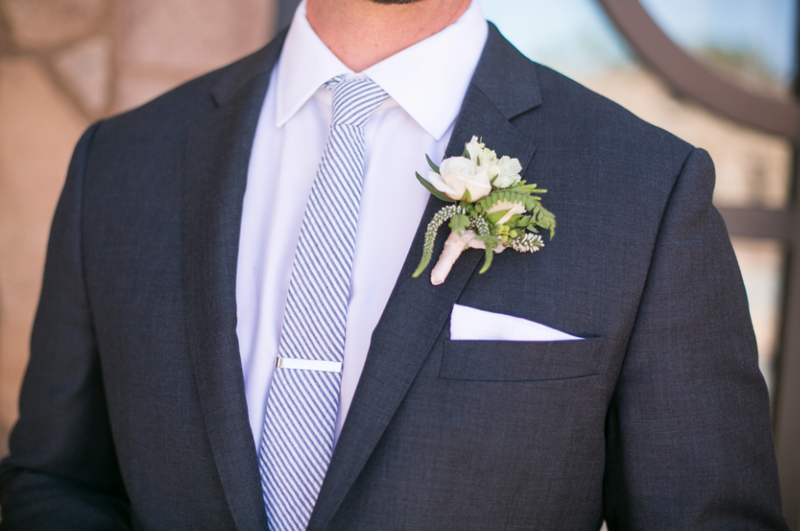 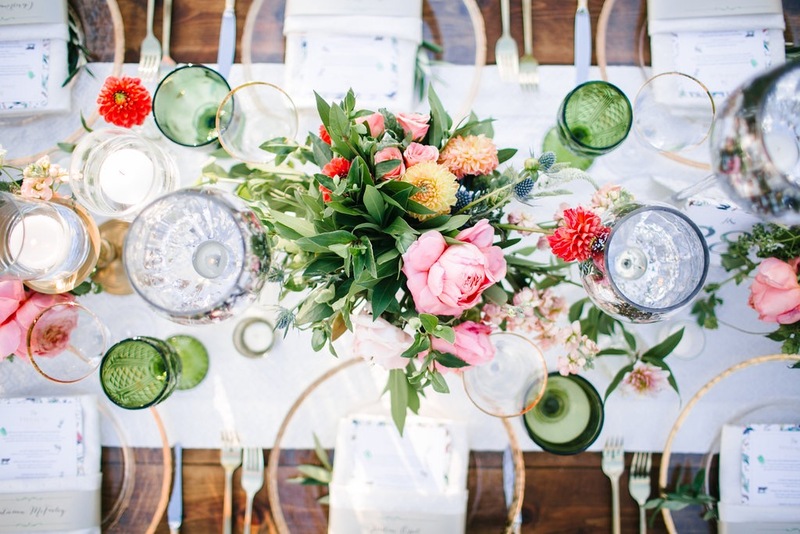 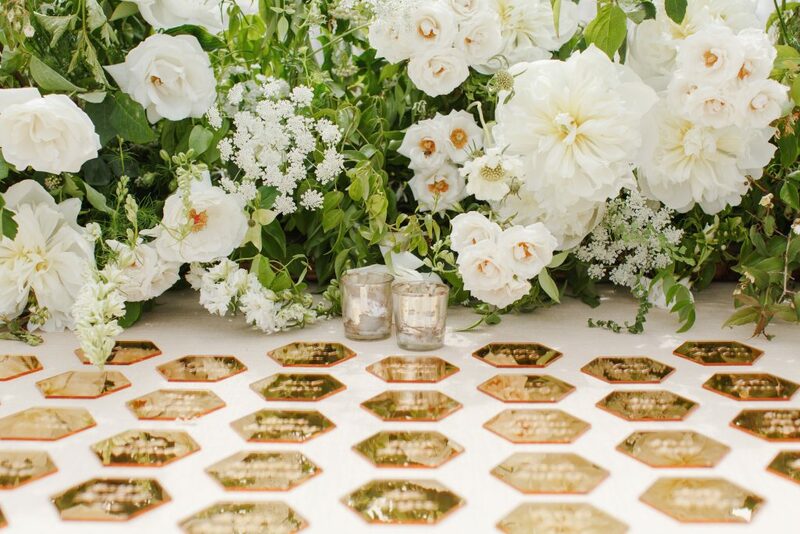 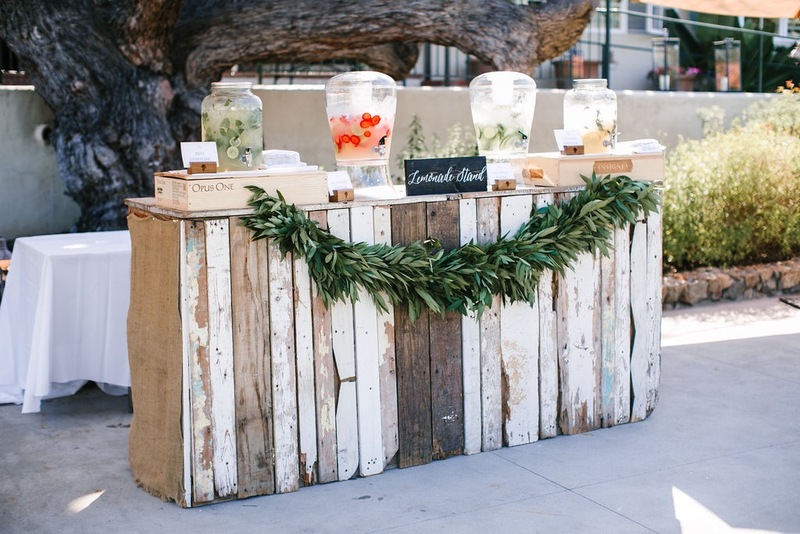 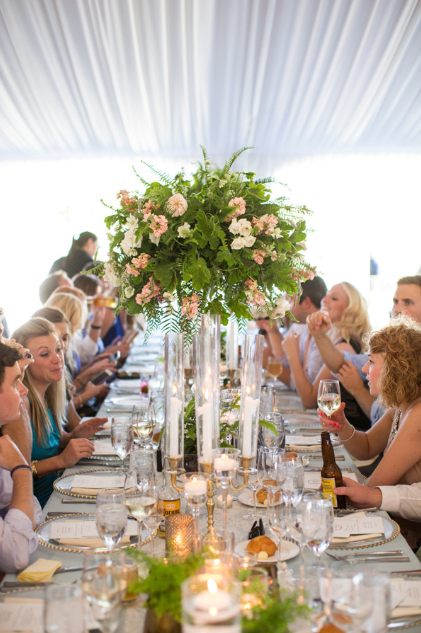 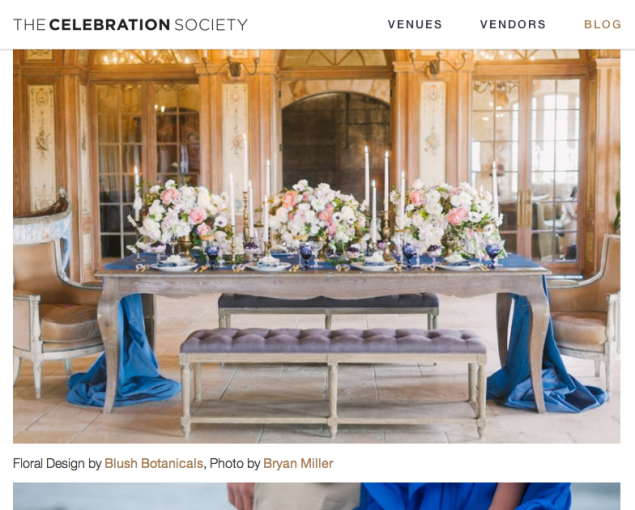 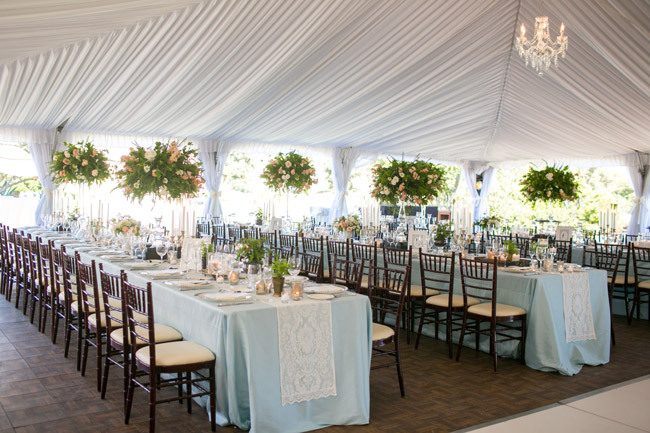 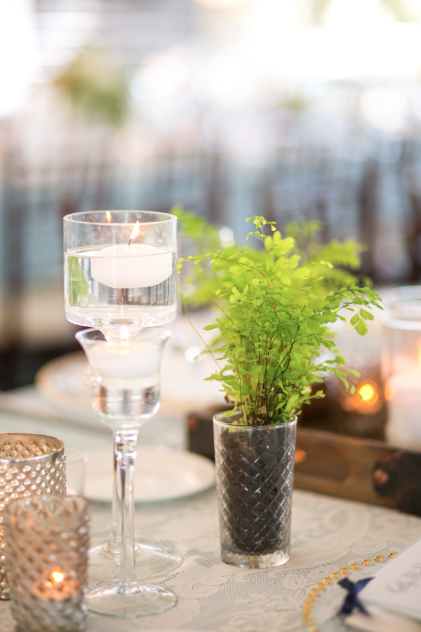 Loving this cute feature on “The Celebration Society” blog, featuring blue wedding ideas. 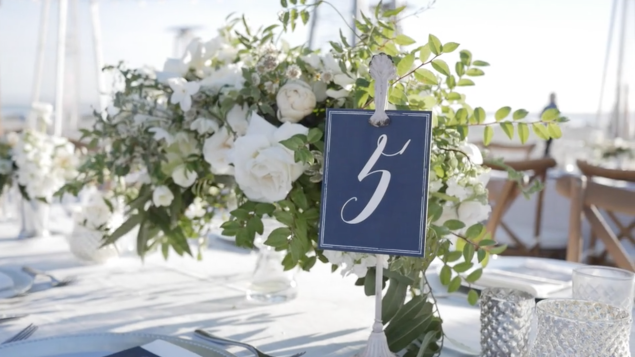 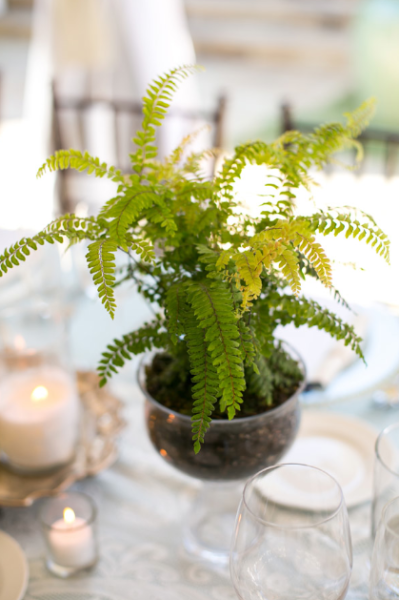 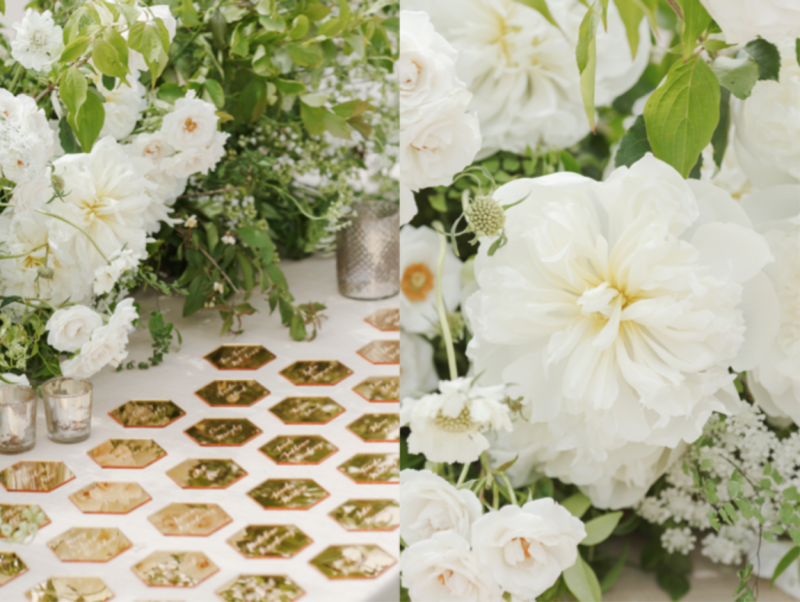 Thank you, Luxe Events, for designing such a beautiful tabletop, Bryan Miller for capturing it so gloriously on film, and Cal-A-Vie for inviting us to play and dream in your amazing venue! 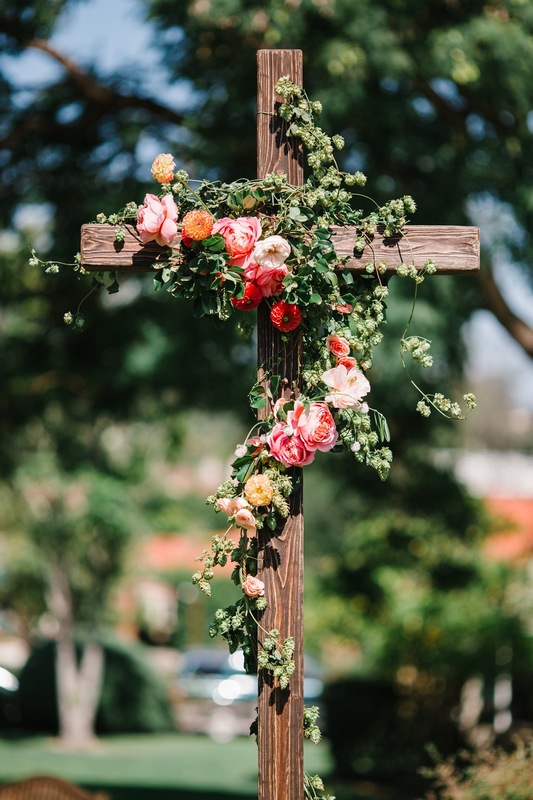 Click here or on the image below to see the entire post!